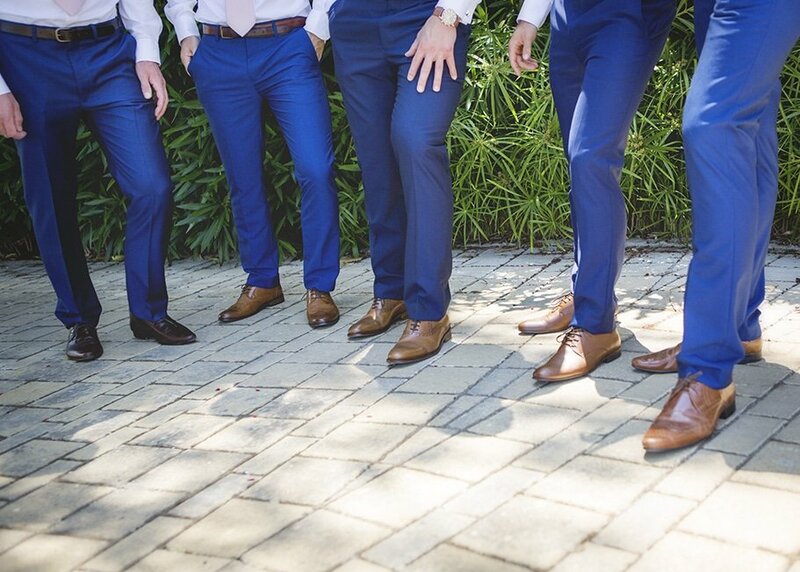 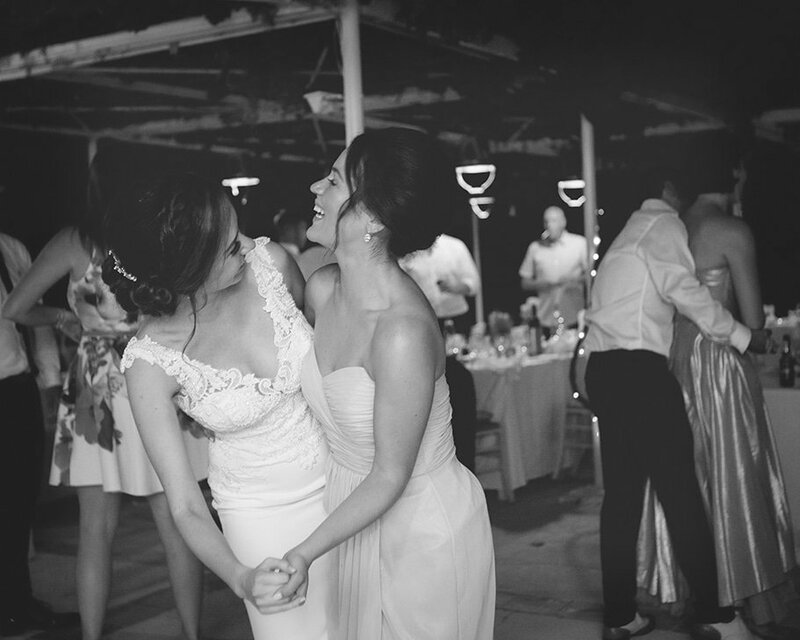 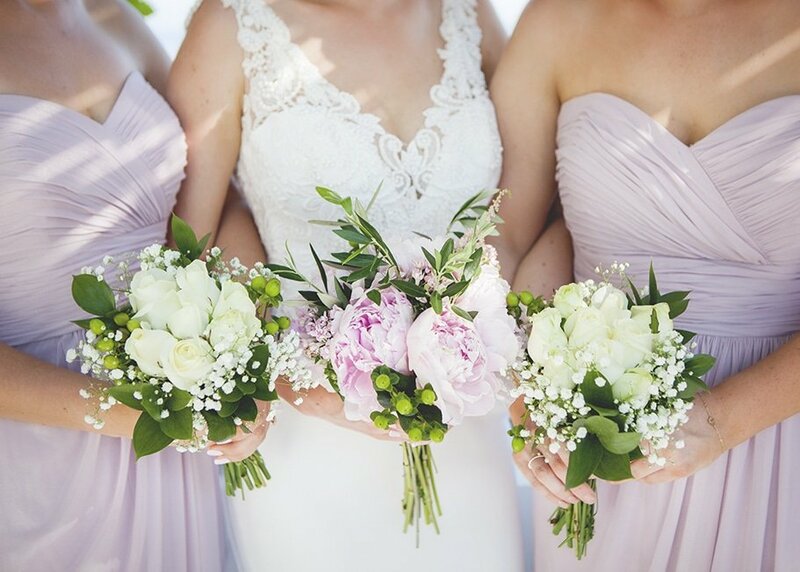 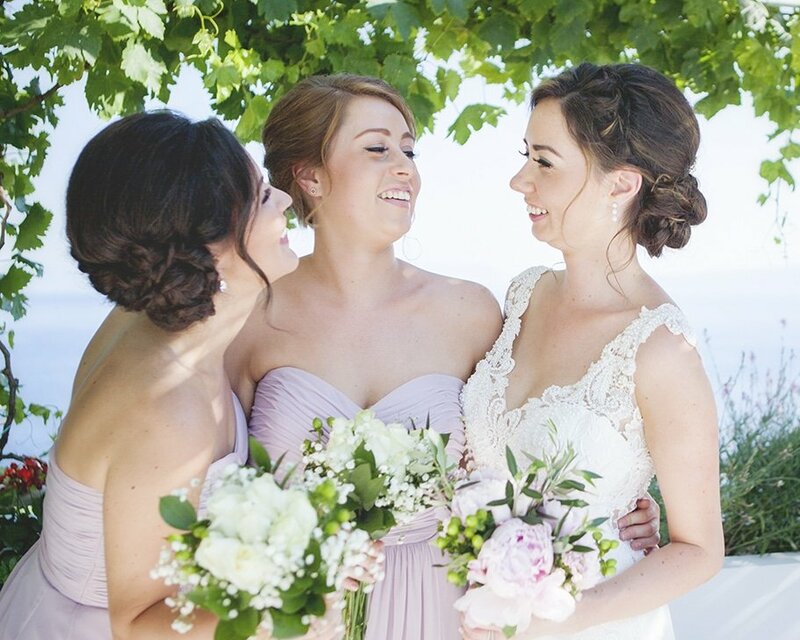 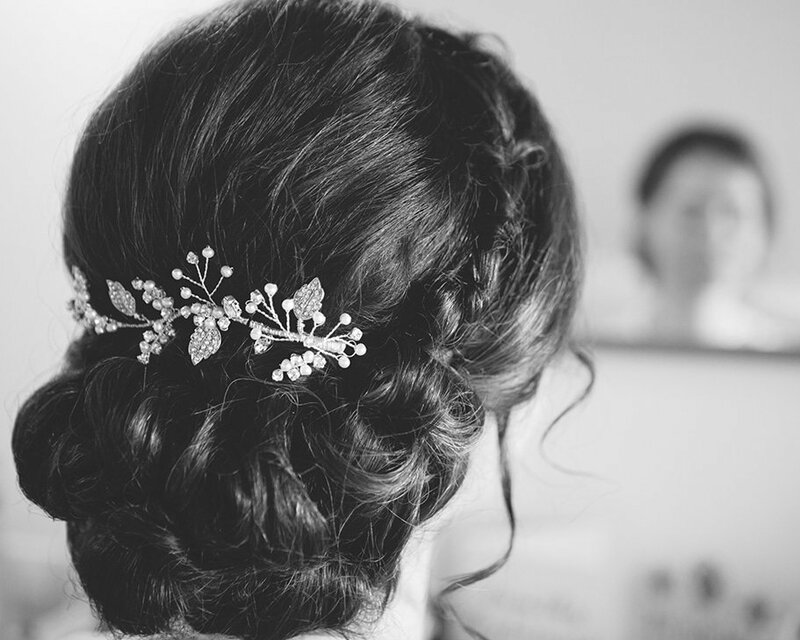 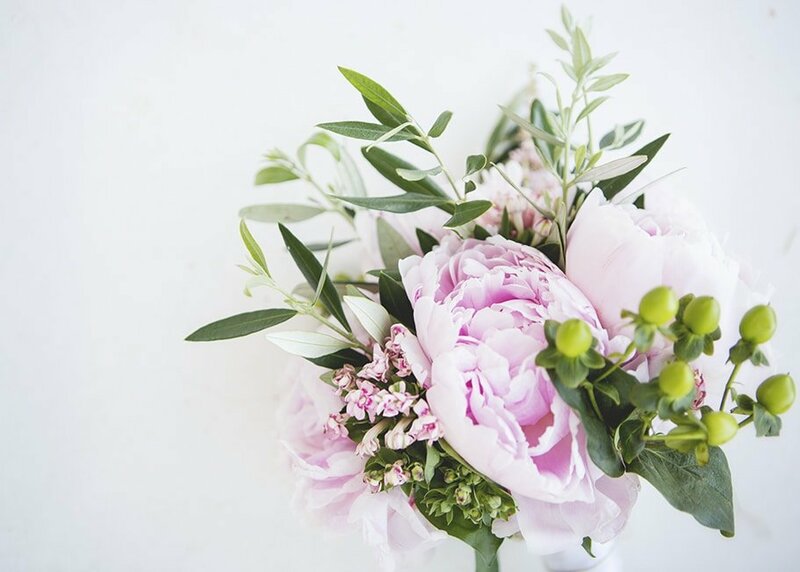 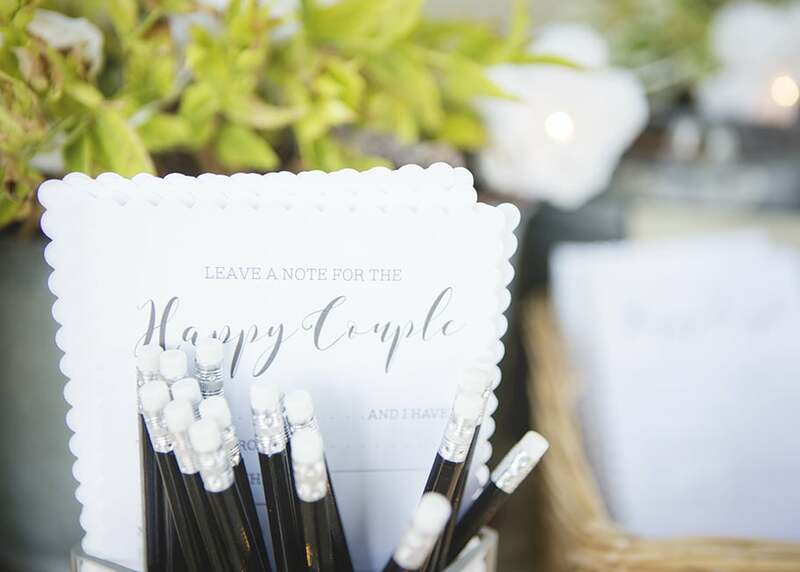 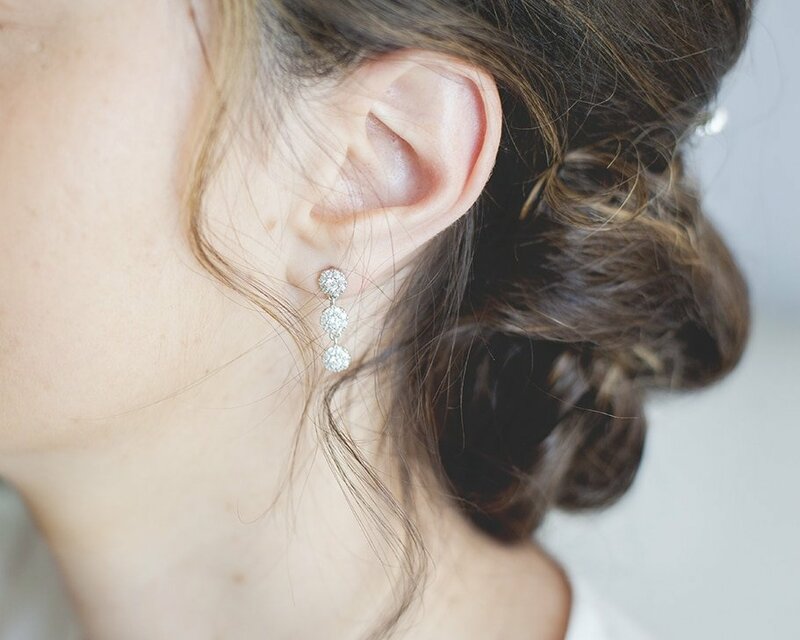 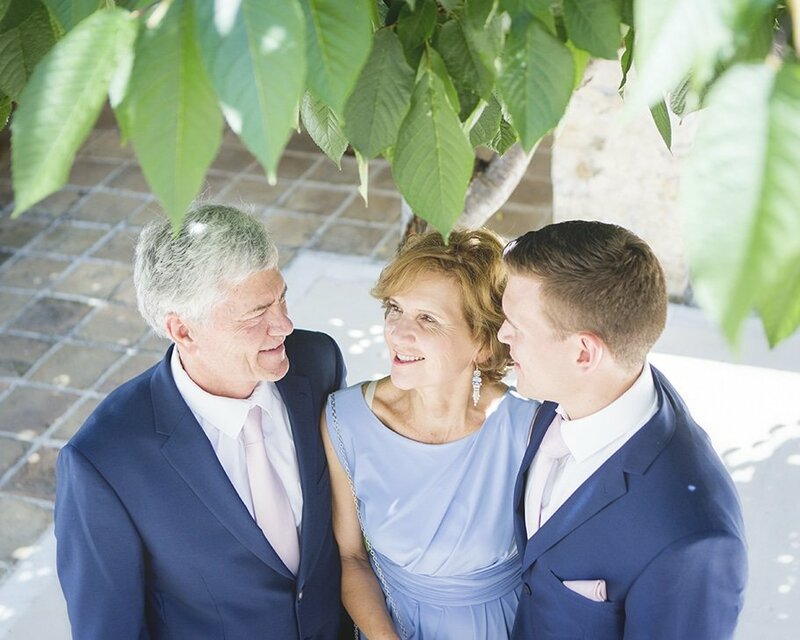 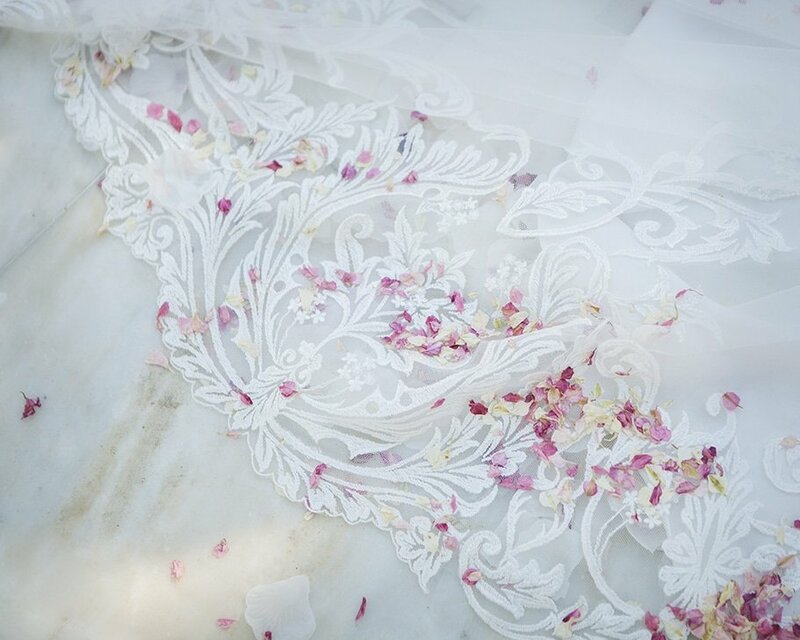 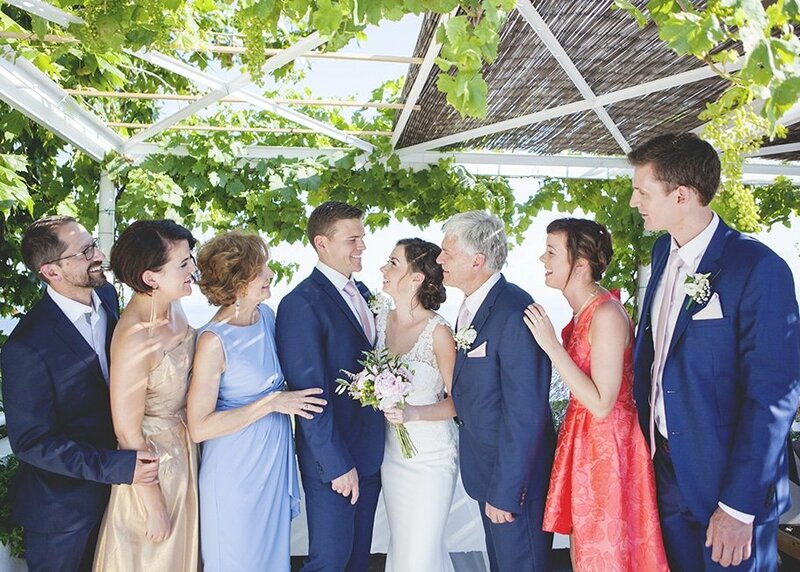 This beautiful desitination wedding is a real treat for the eyes! 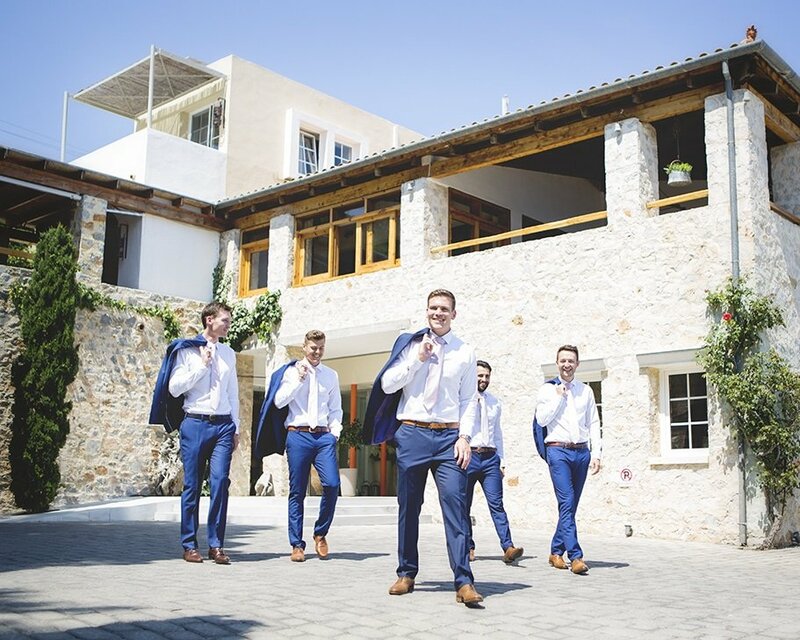 In June I had the pleasure of traveling over to Skiathos, a picturesque island off the main land of Greece, to capture Lucie & Simon’s wedding day. 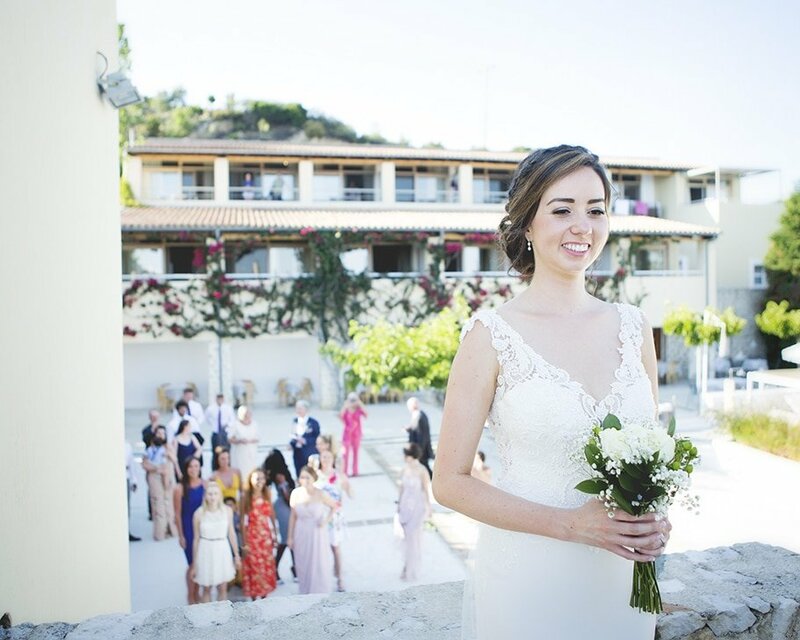 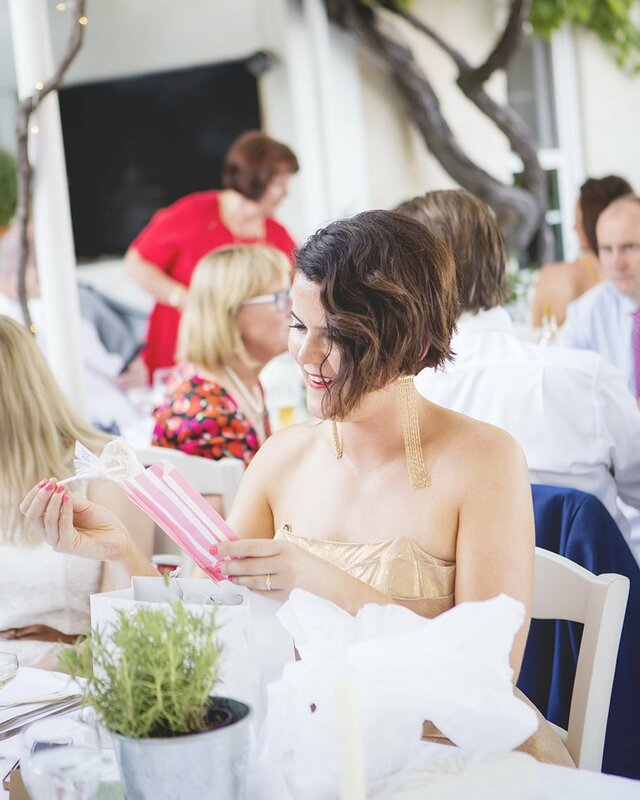 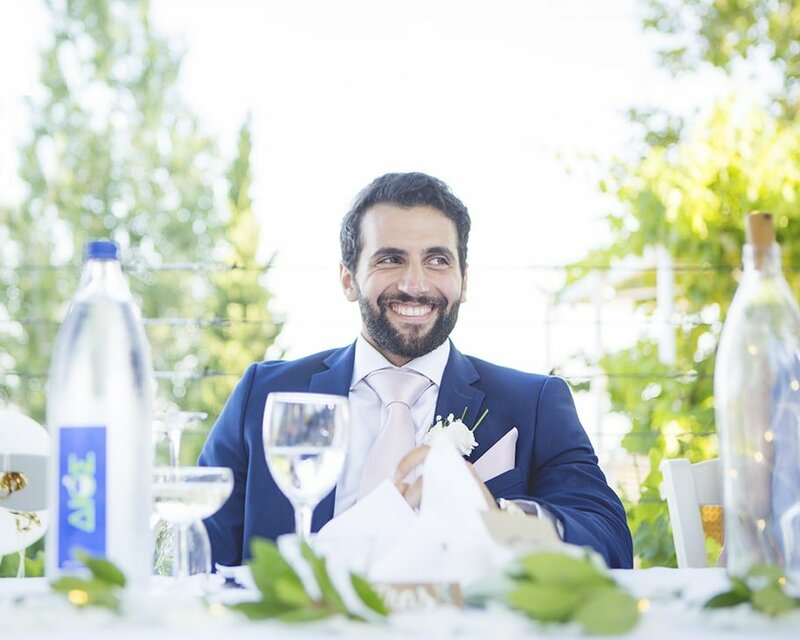 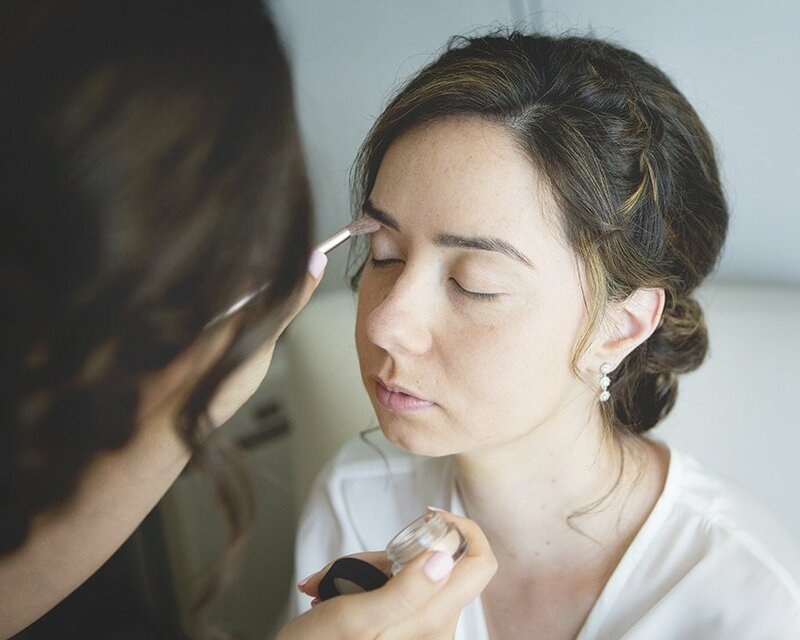 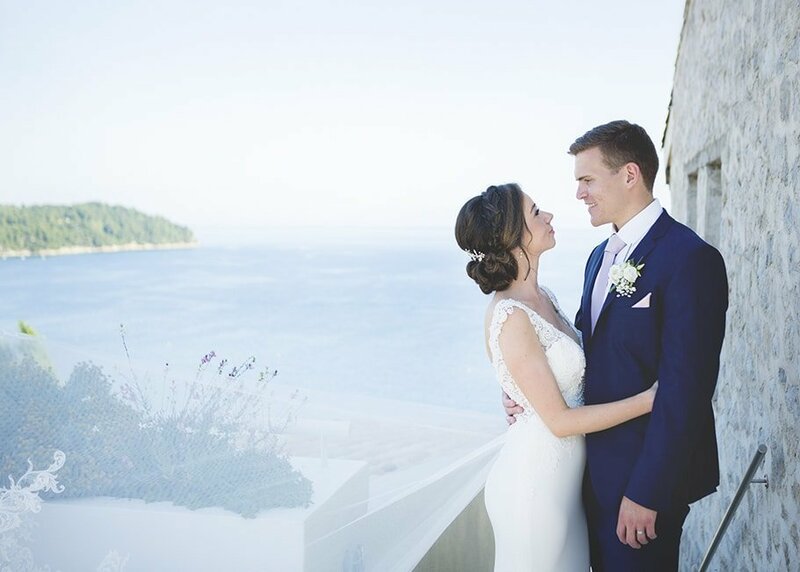 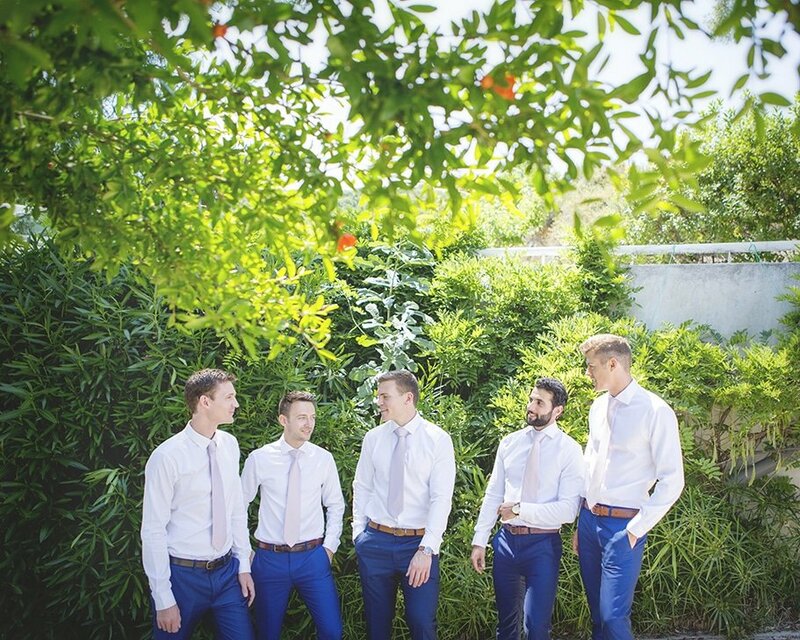 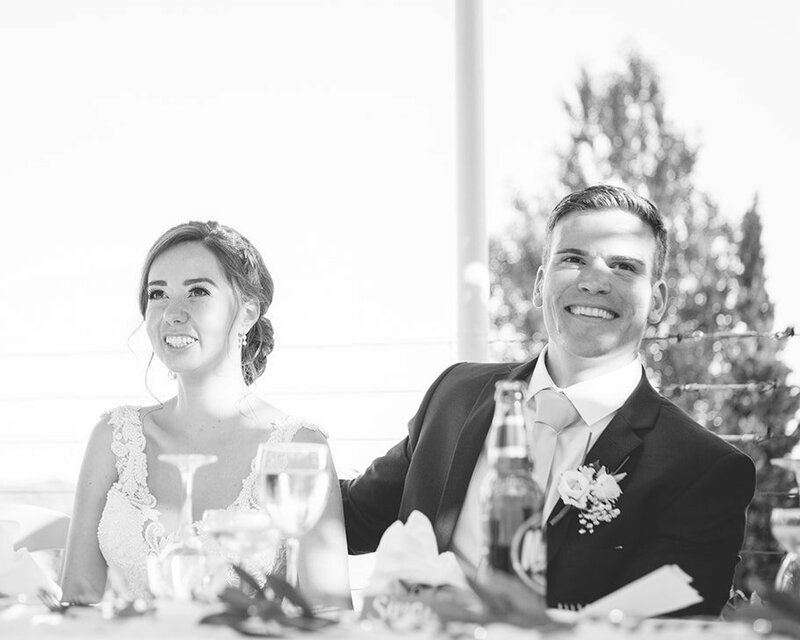 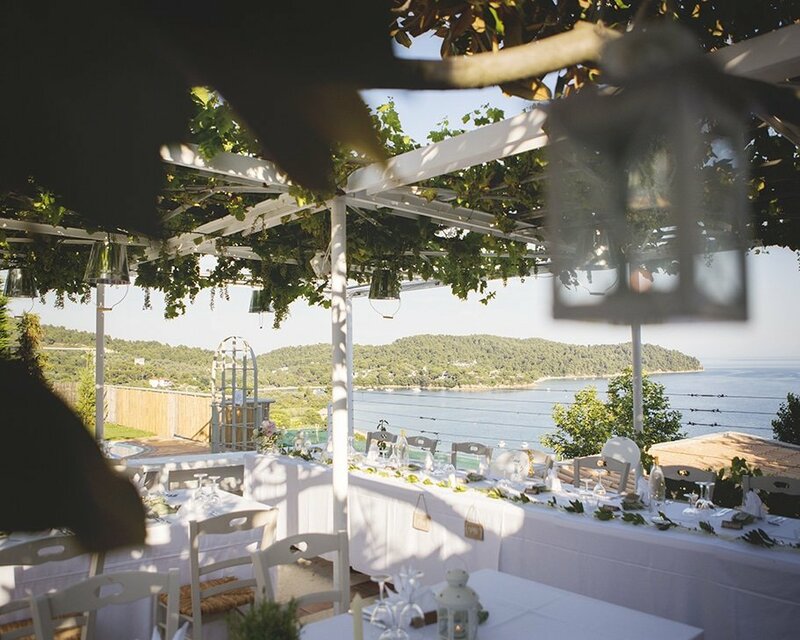 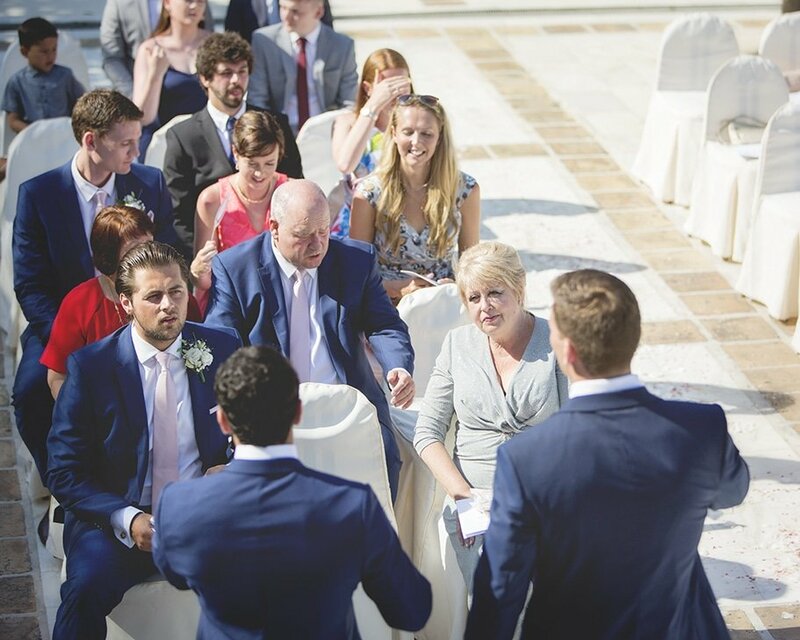 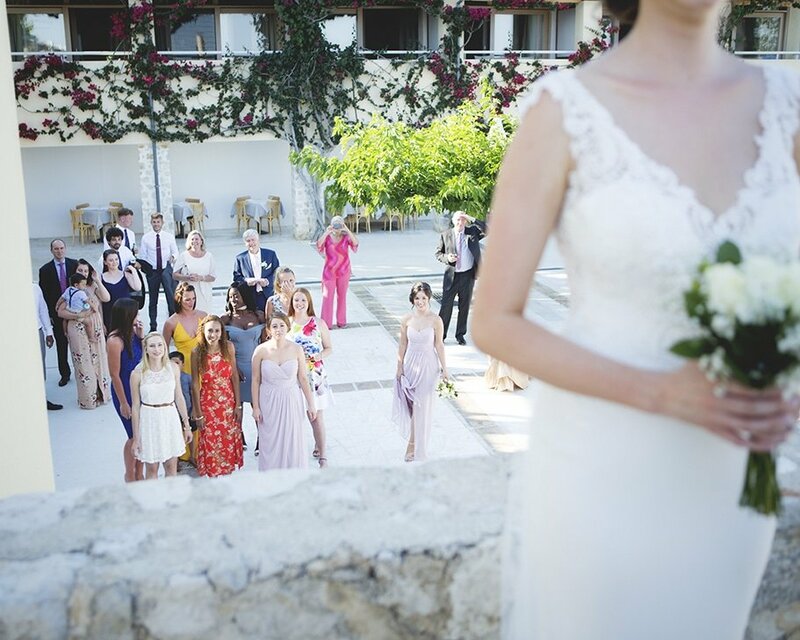 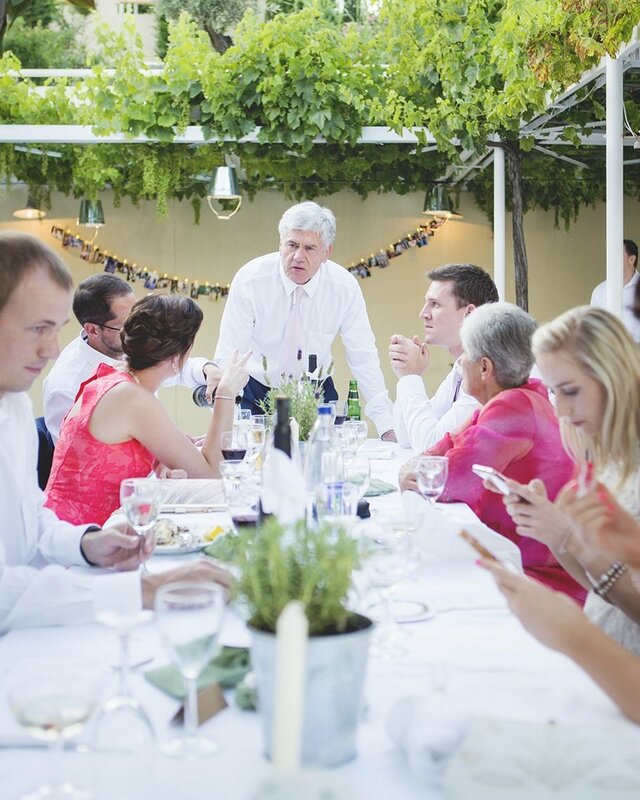 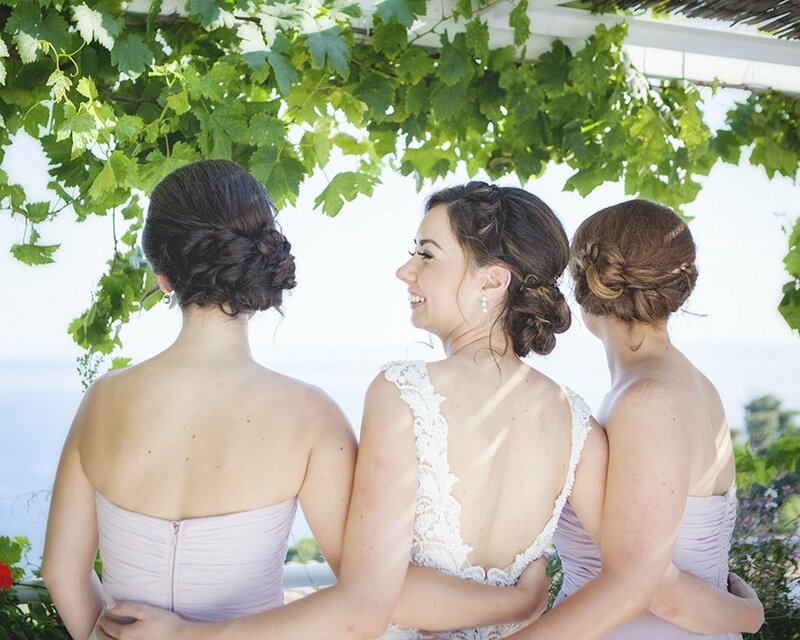 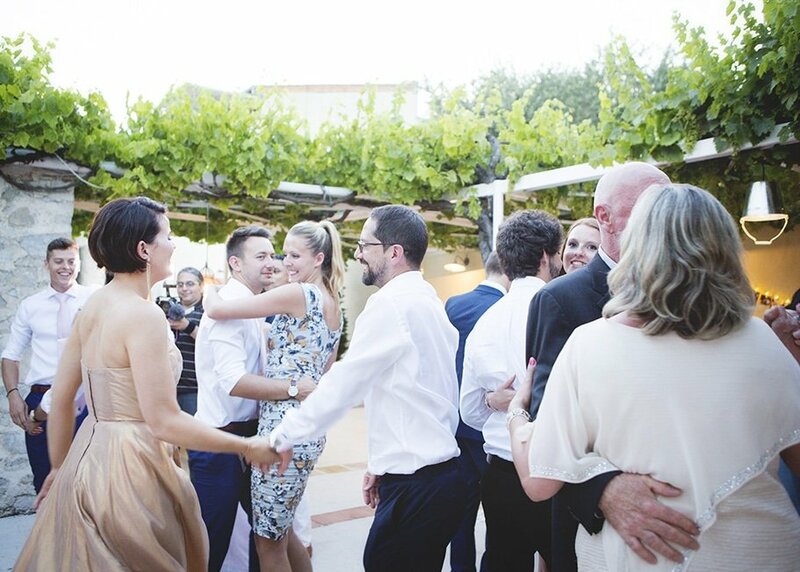 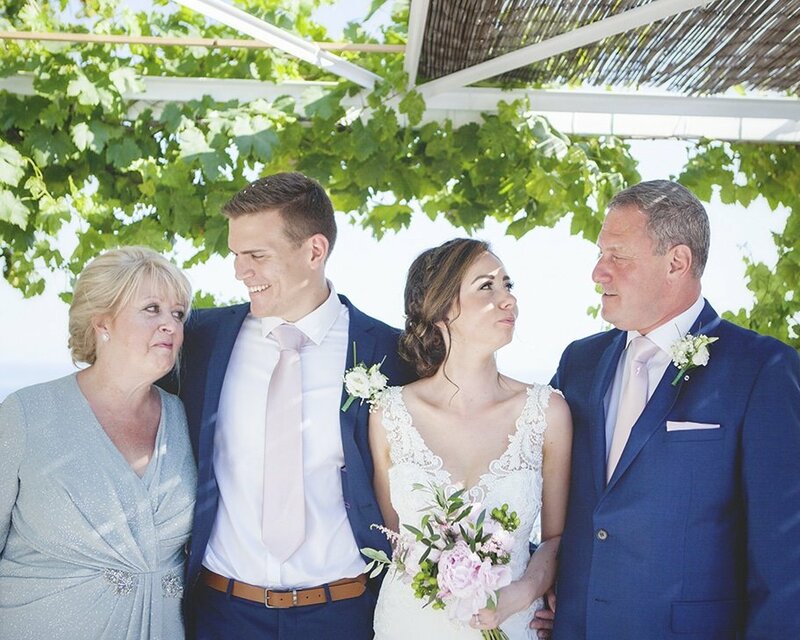 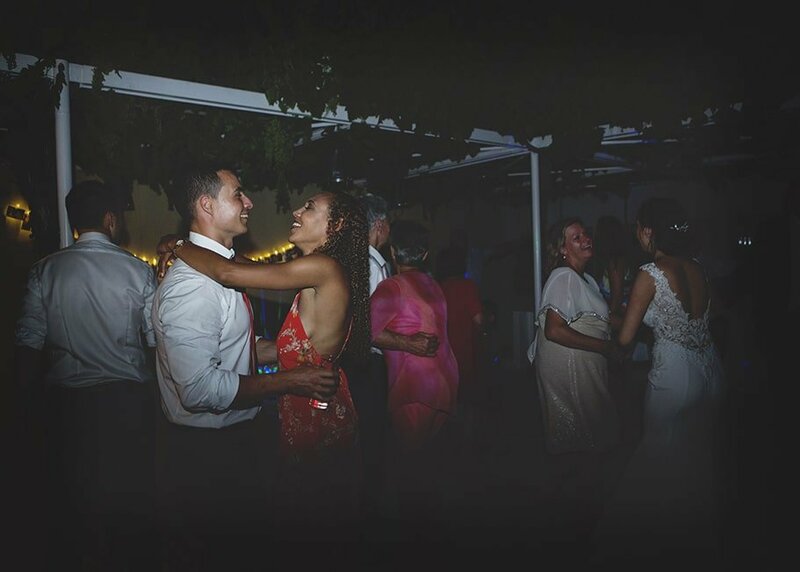 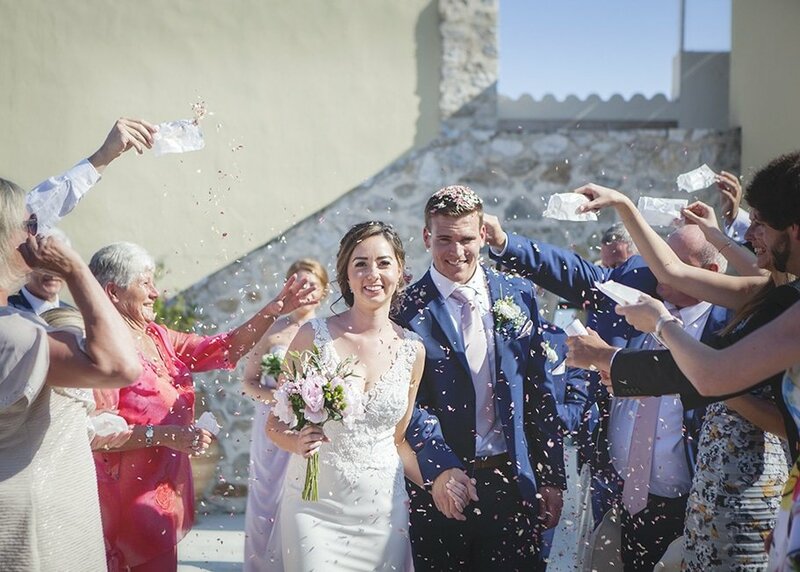 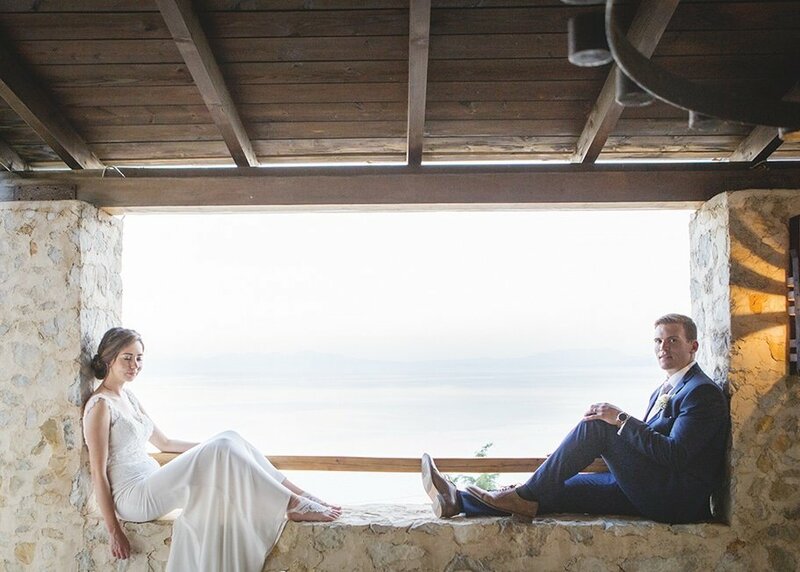 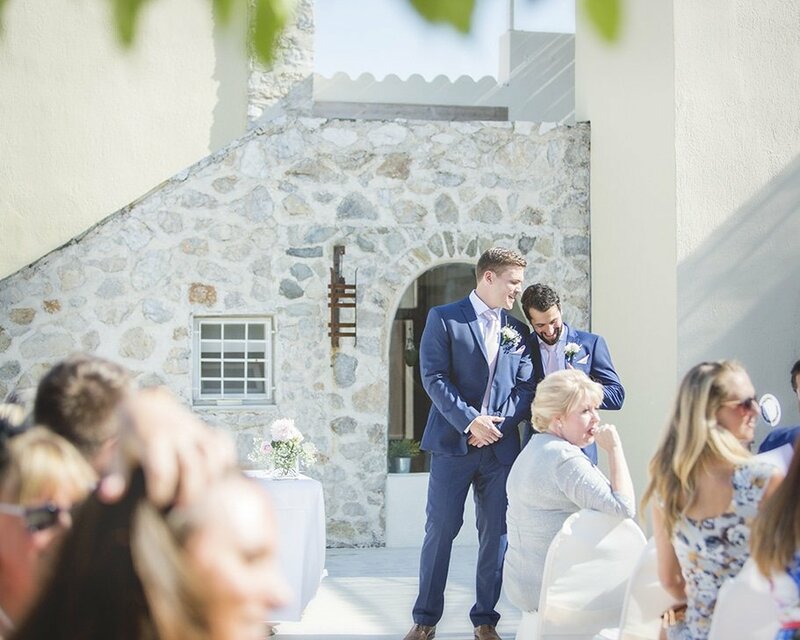 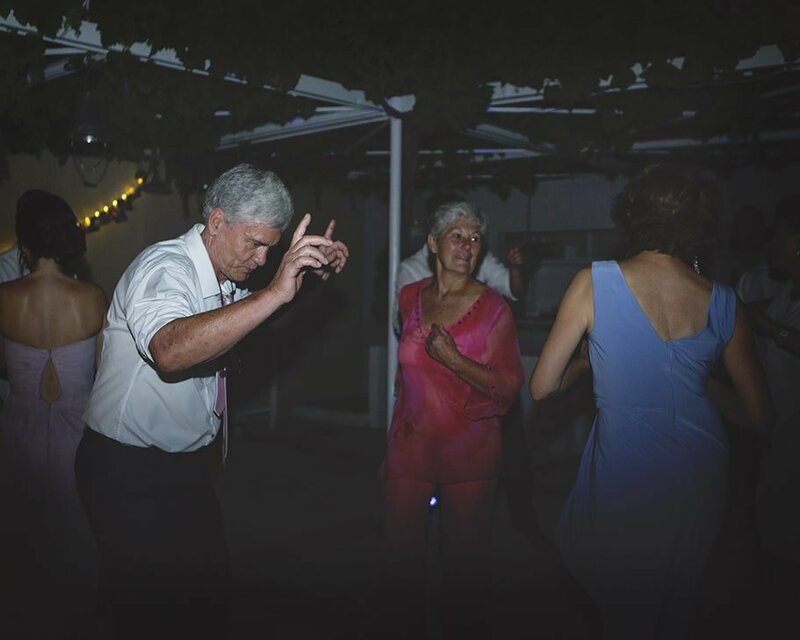 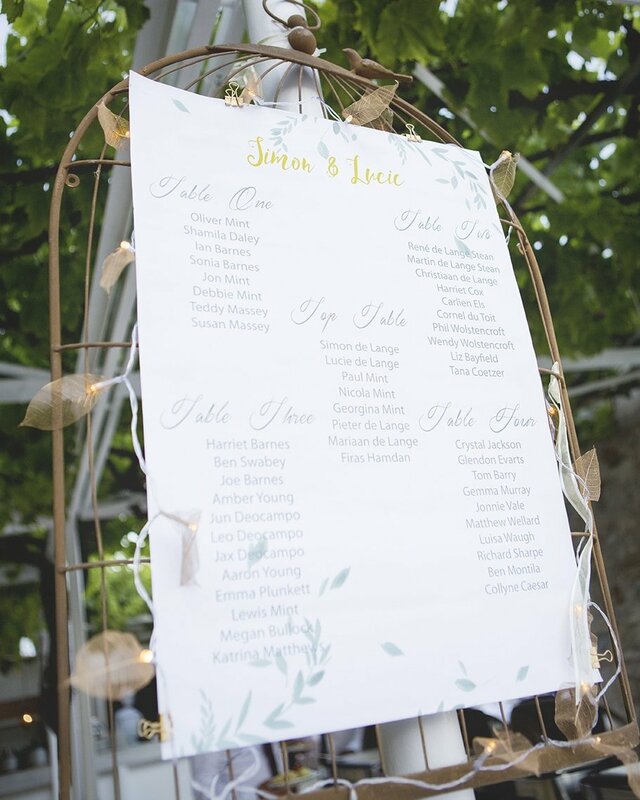 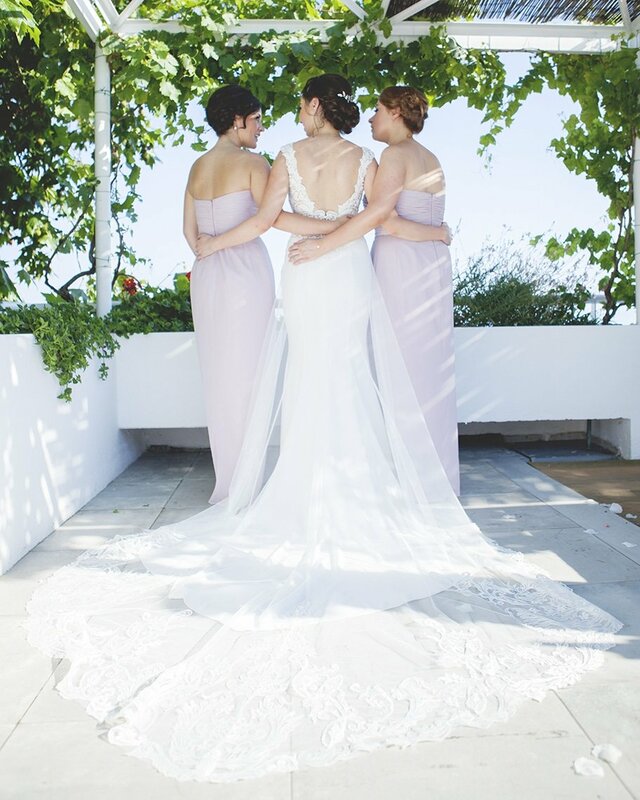 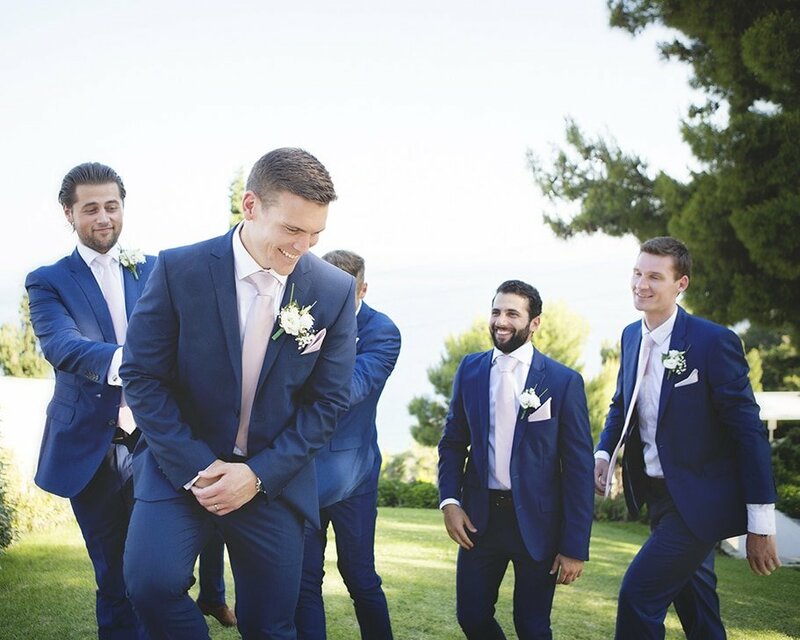 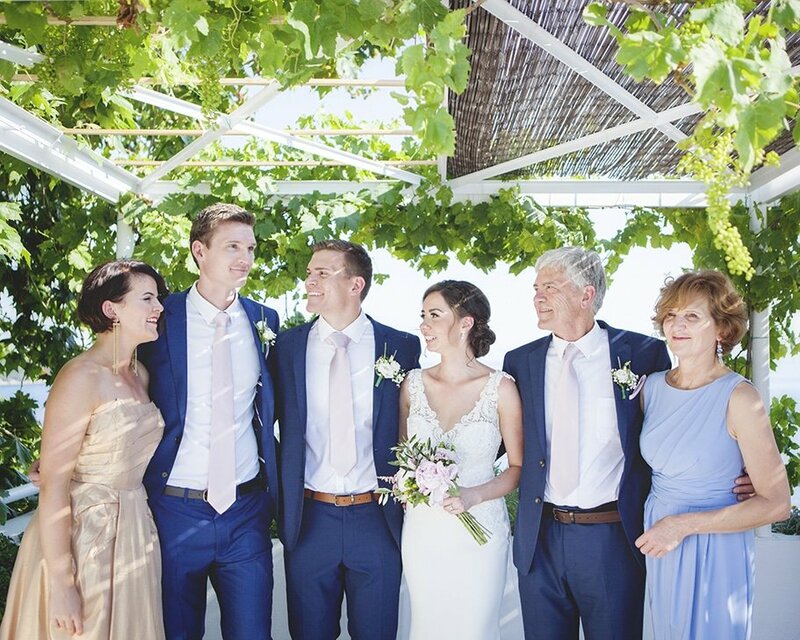 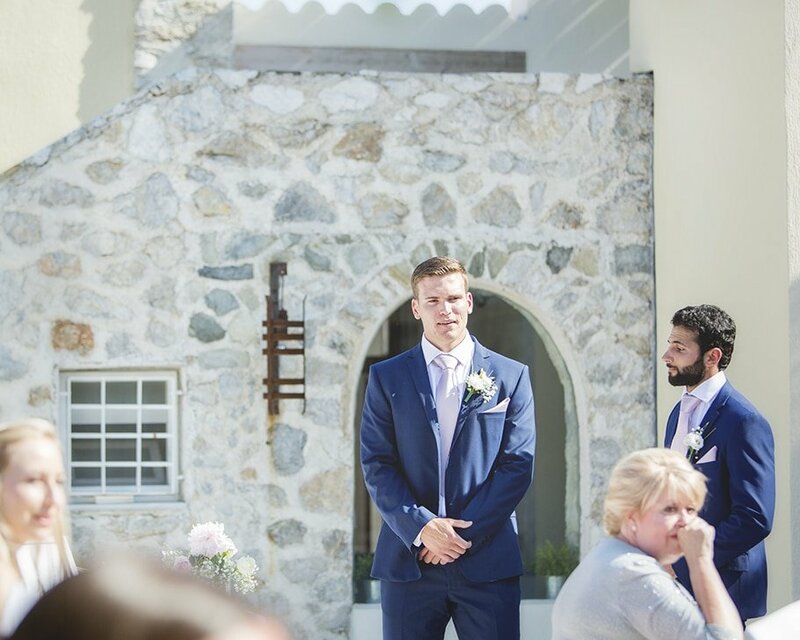 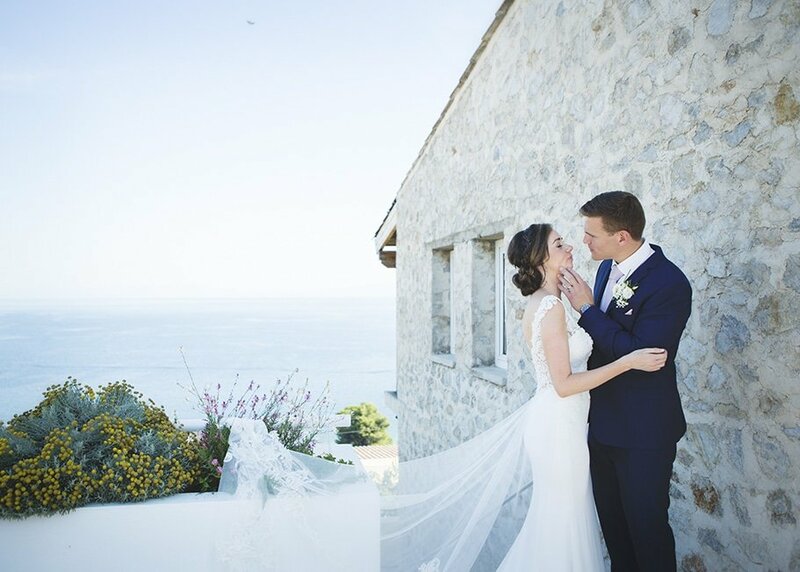 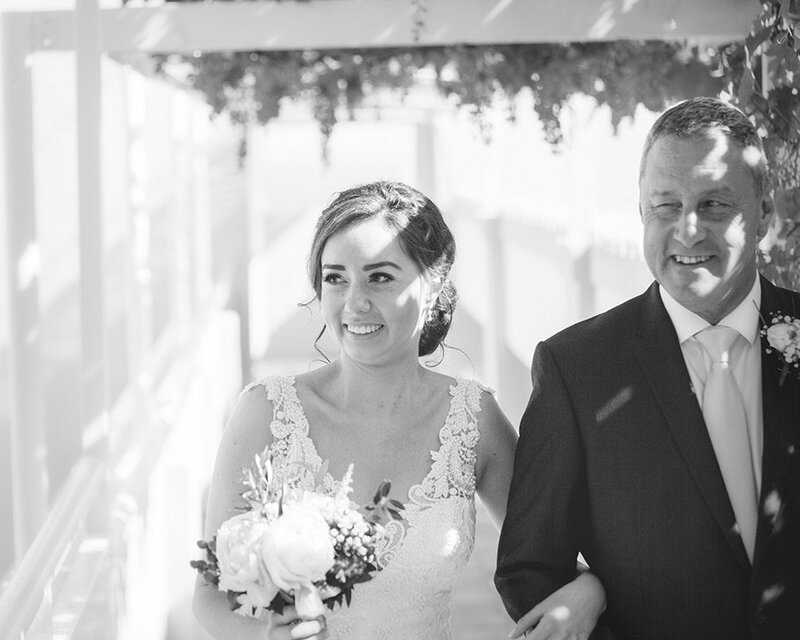 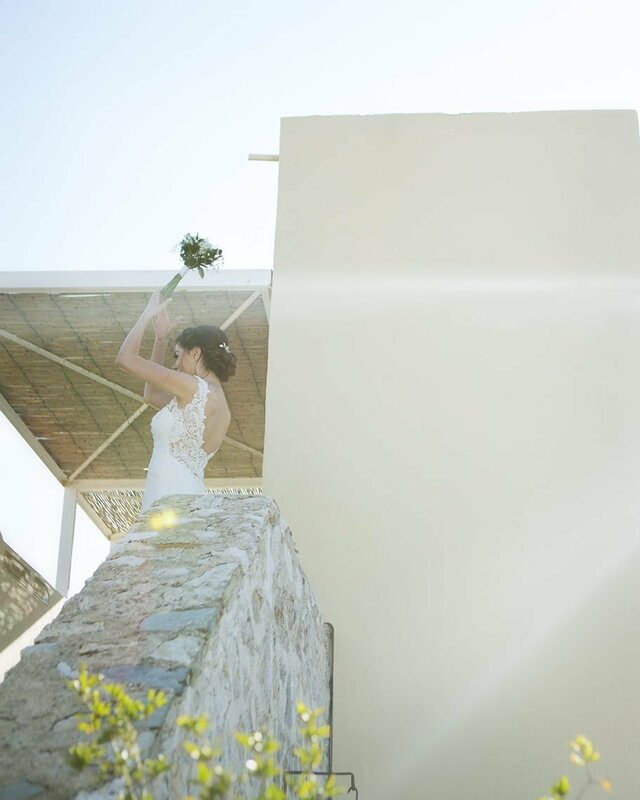 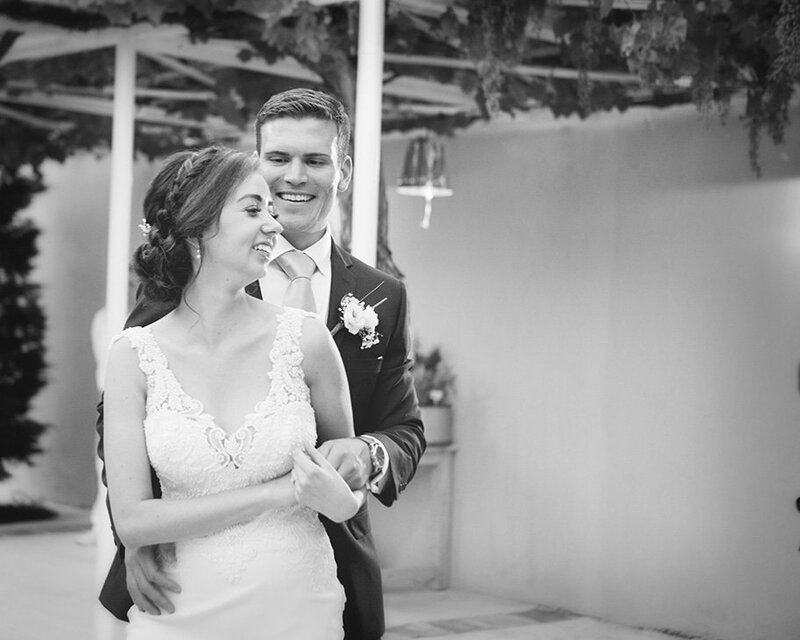 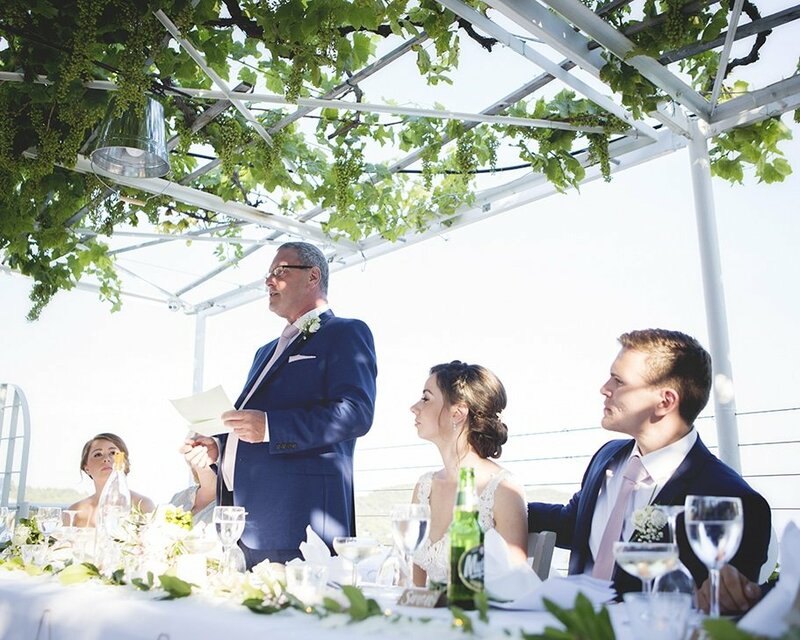 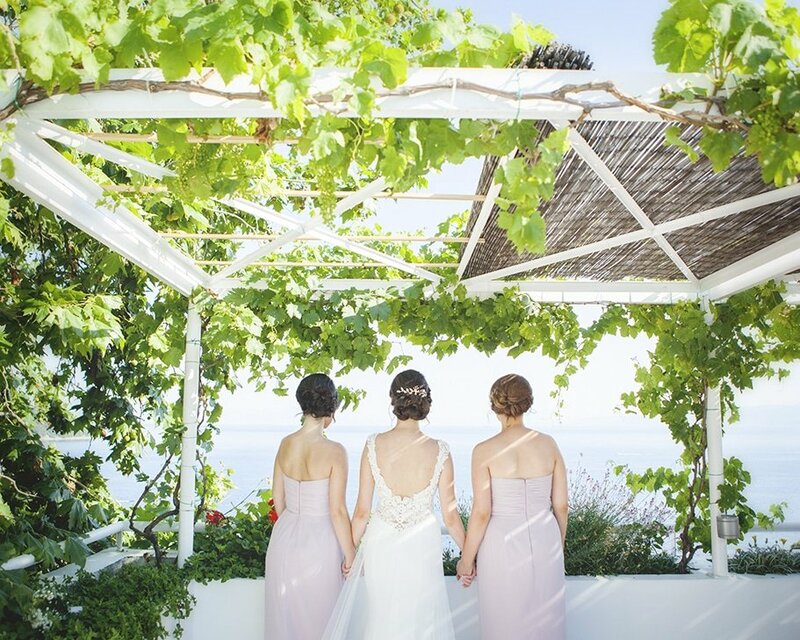 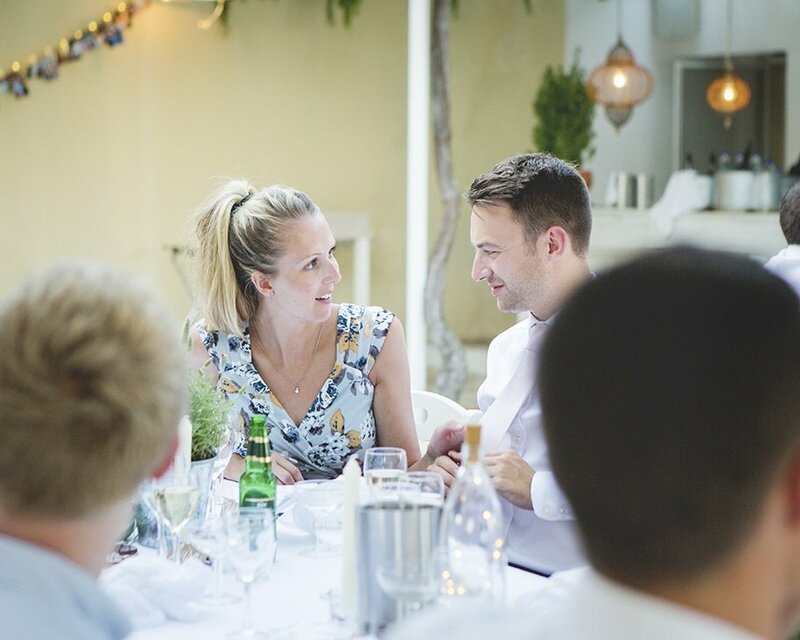 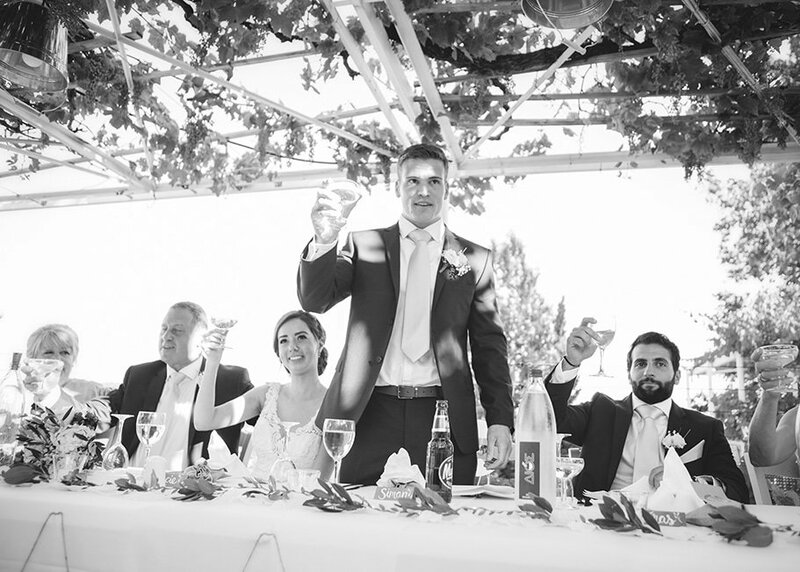 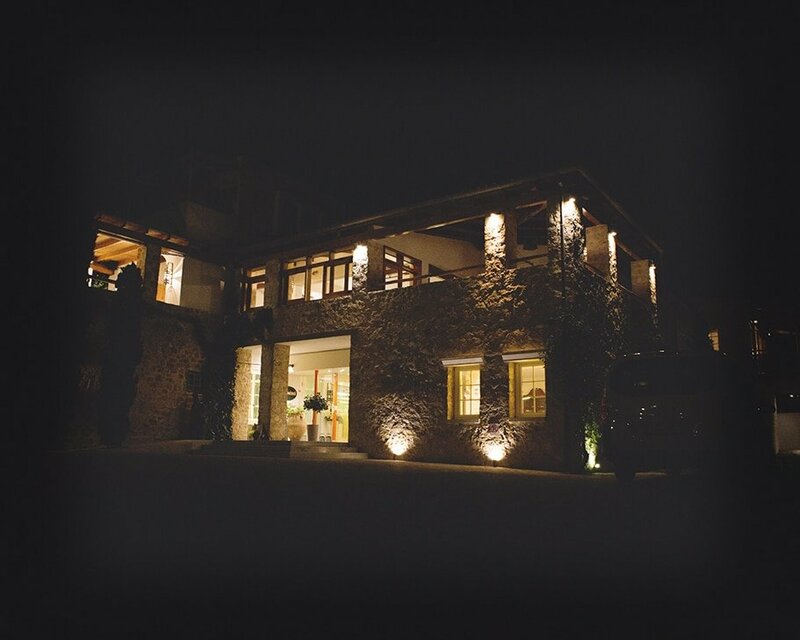 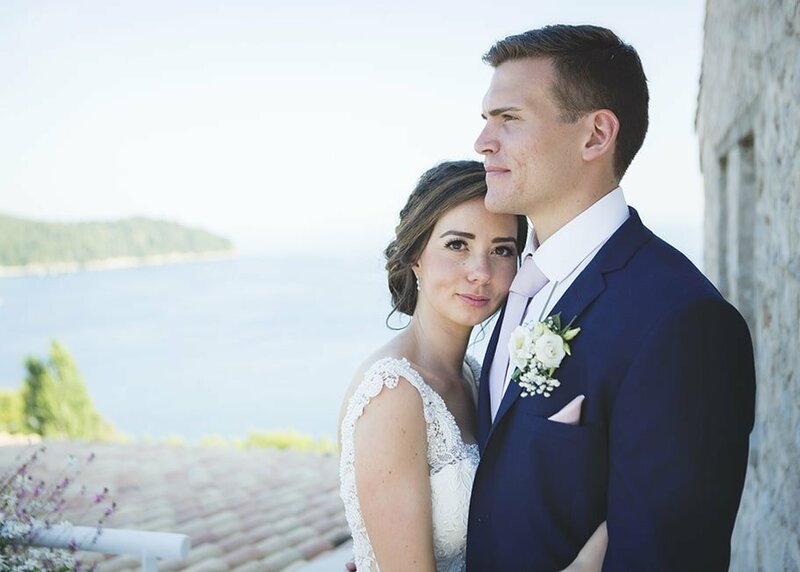 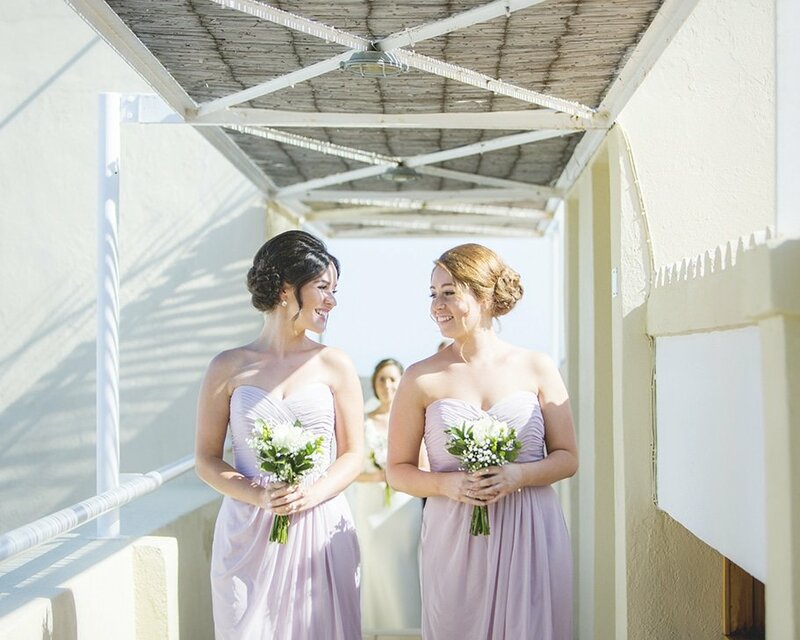 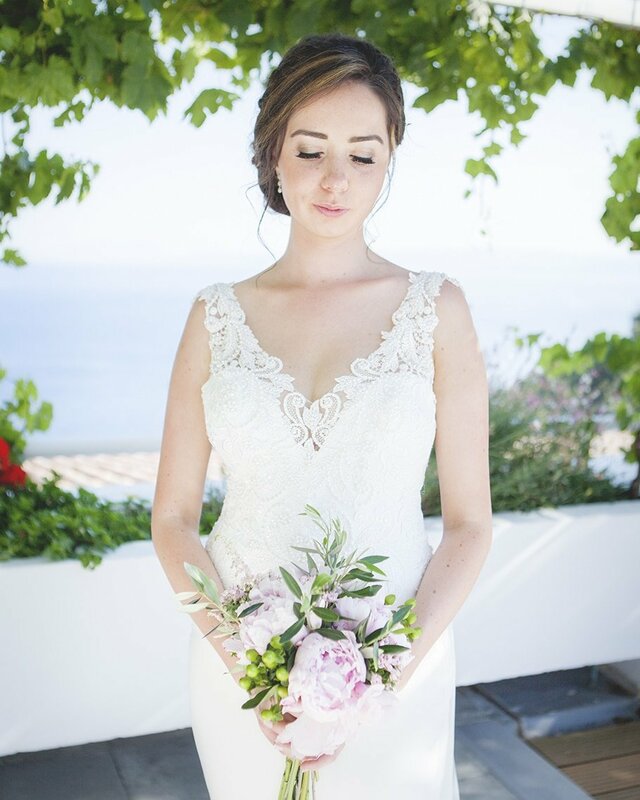 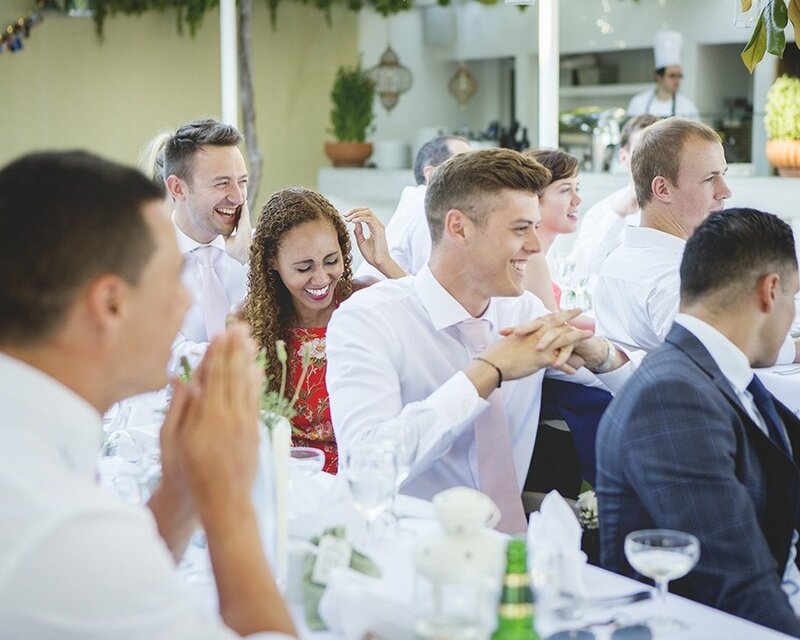 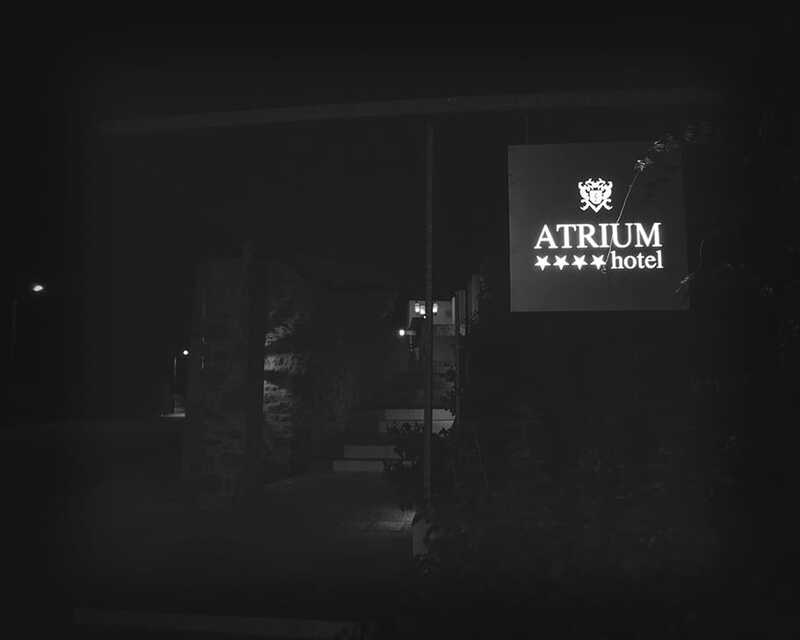 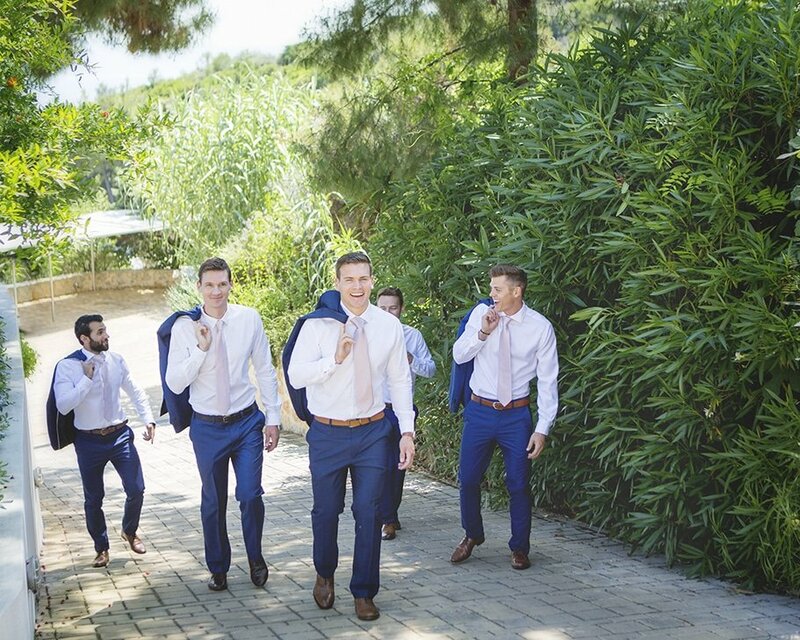 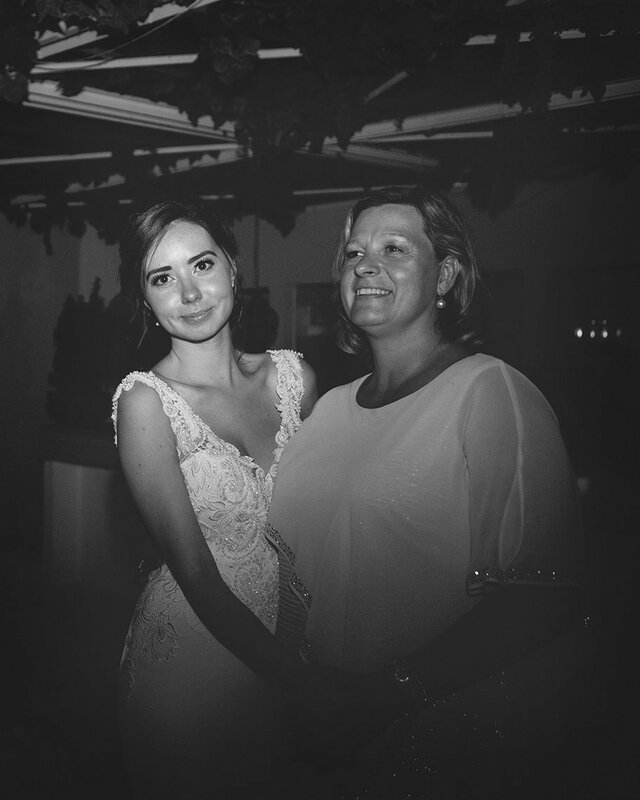 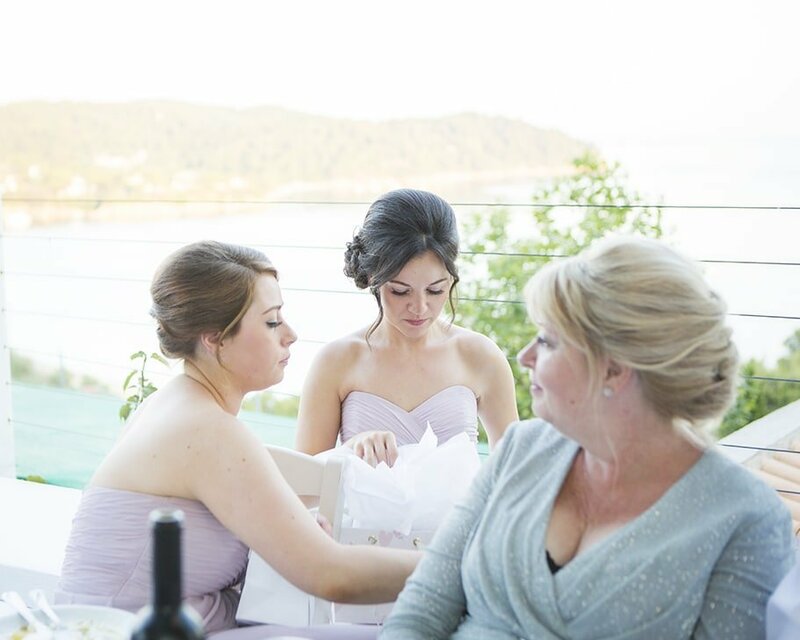 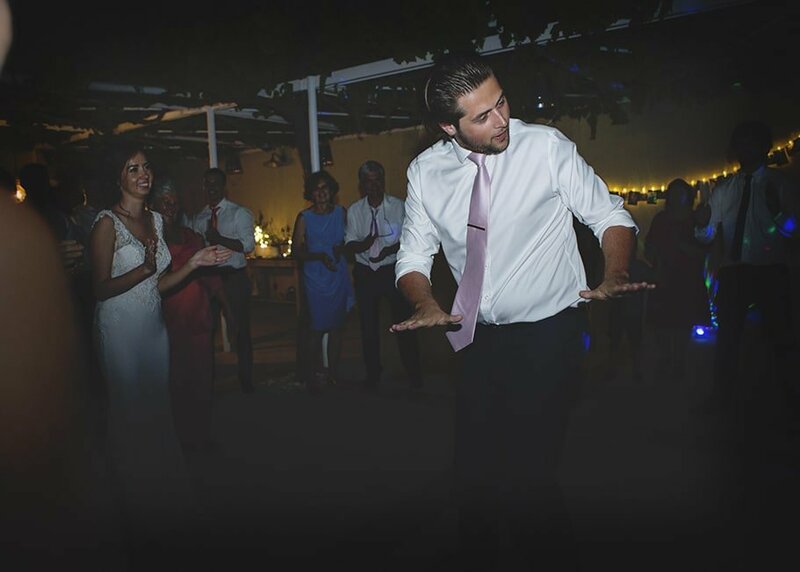 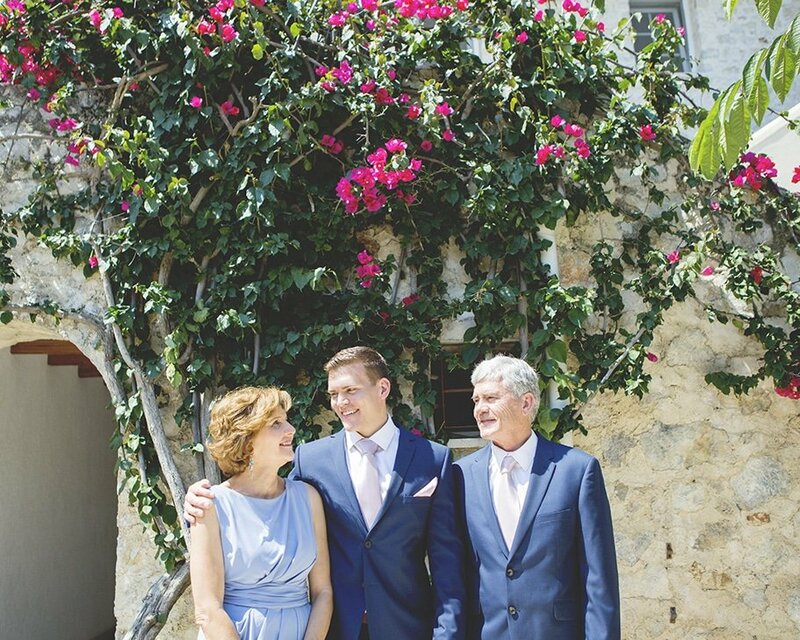 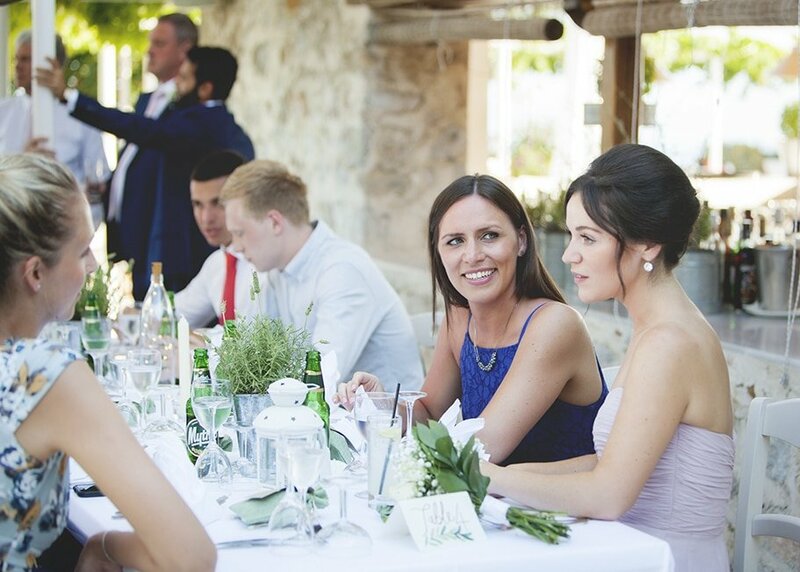 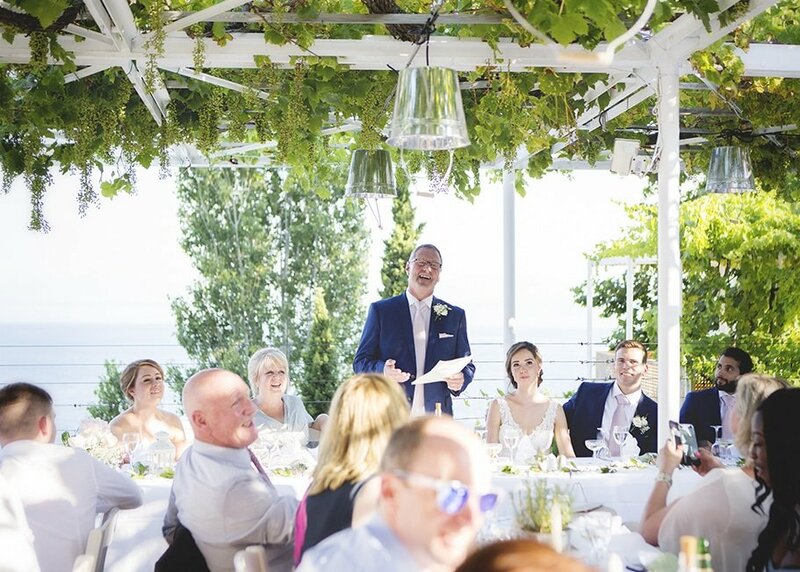 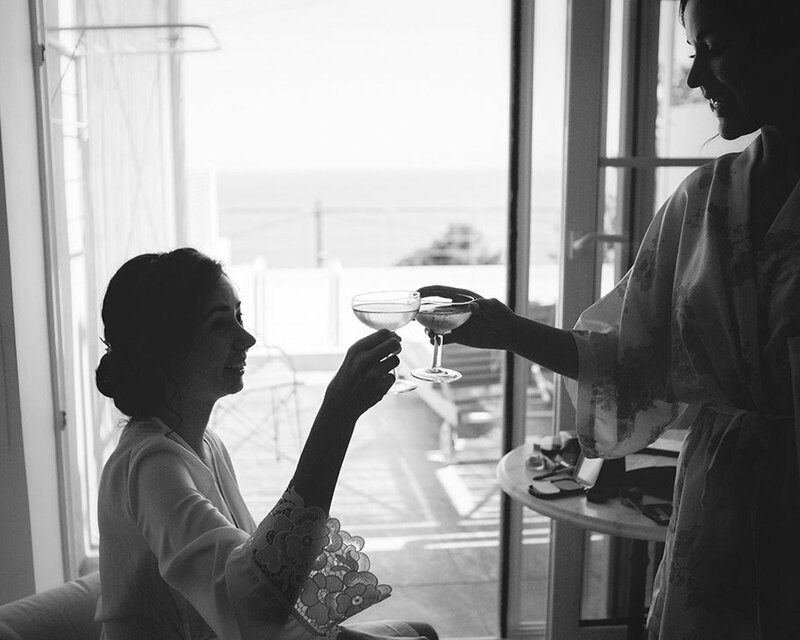 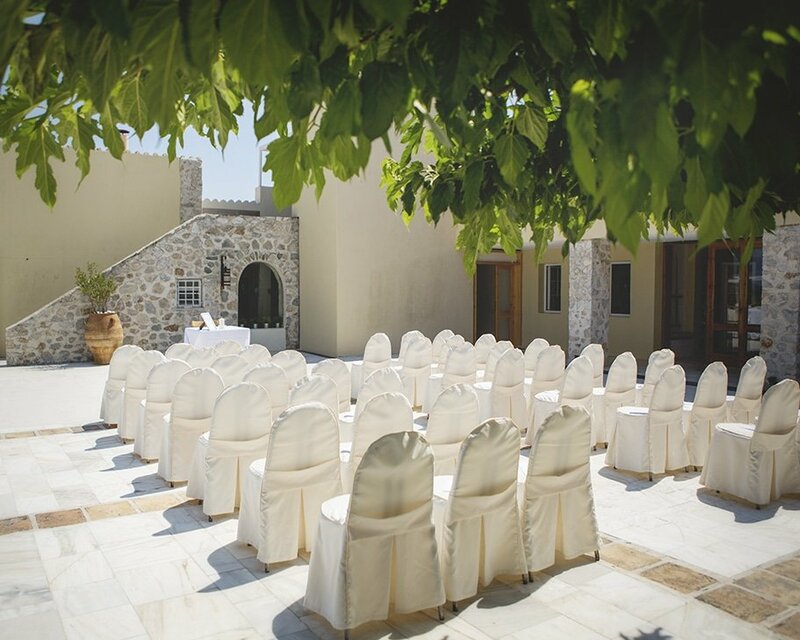 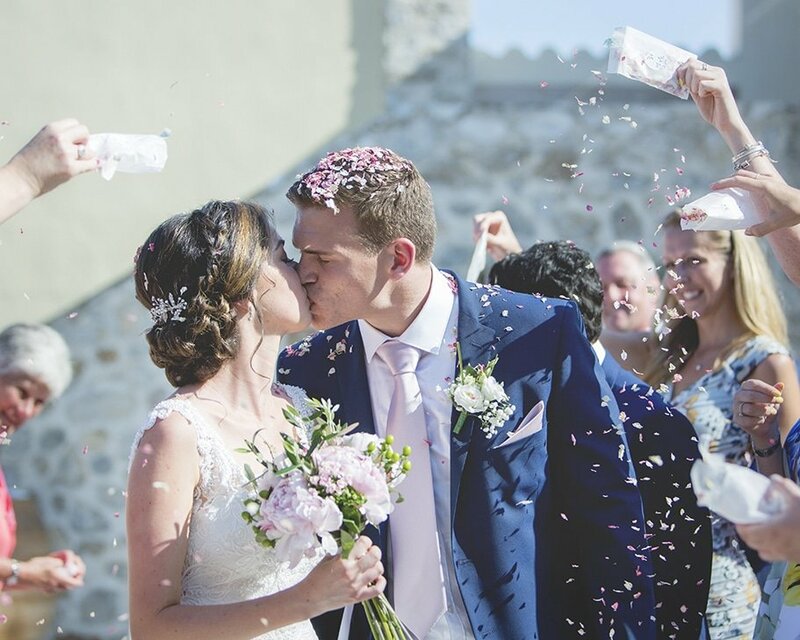 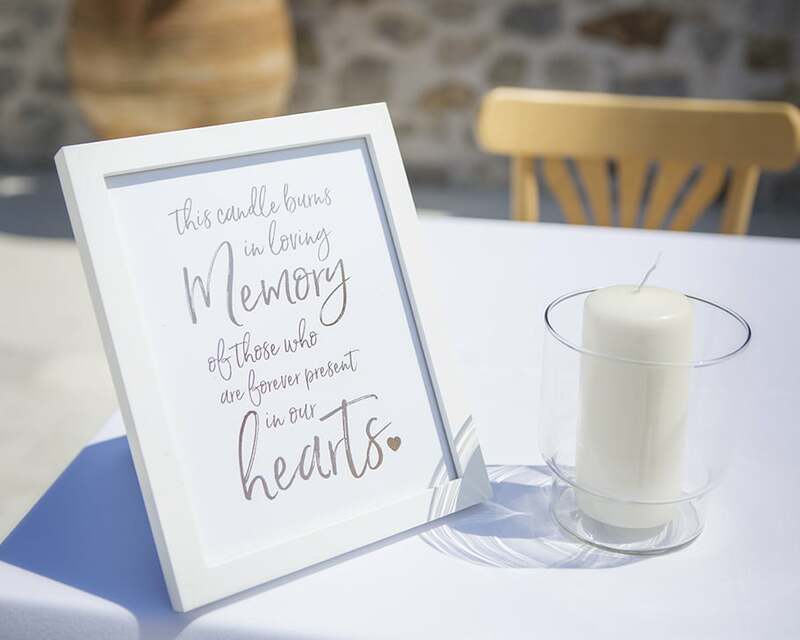 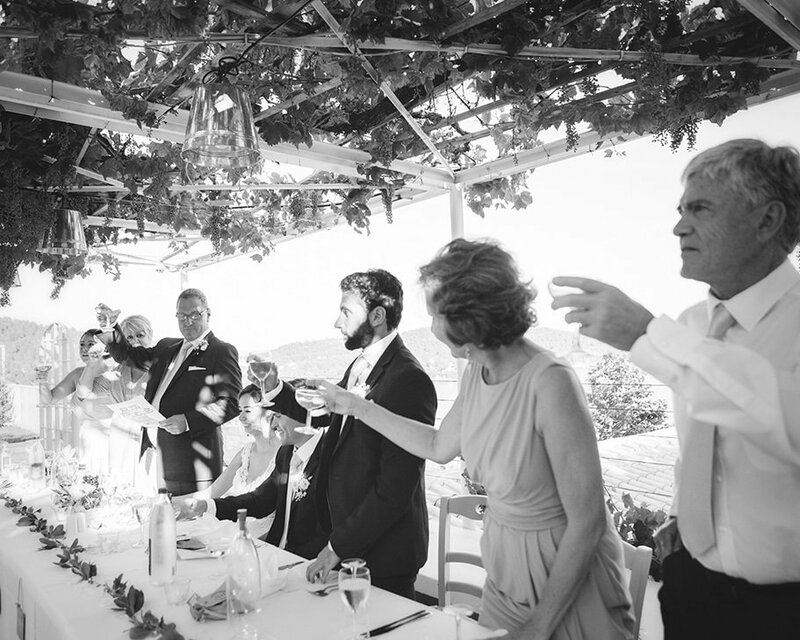 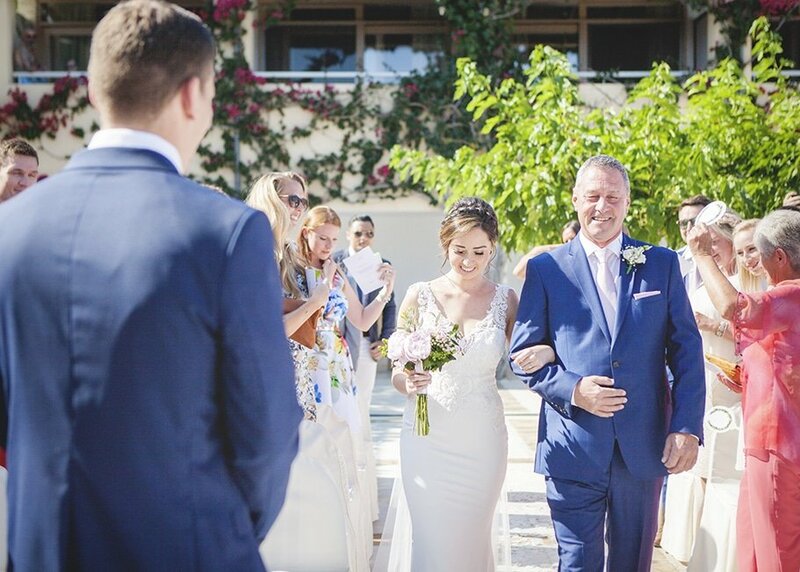 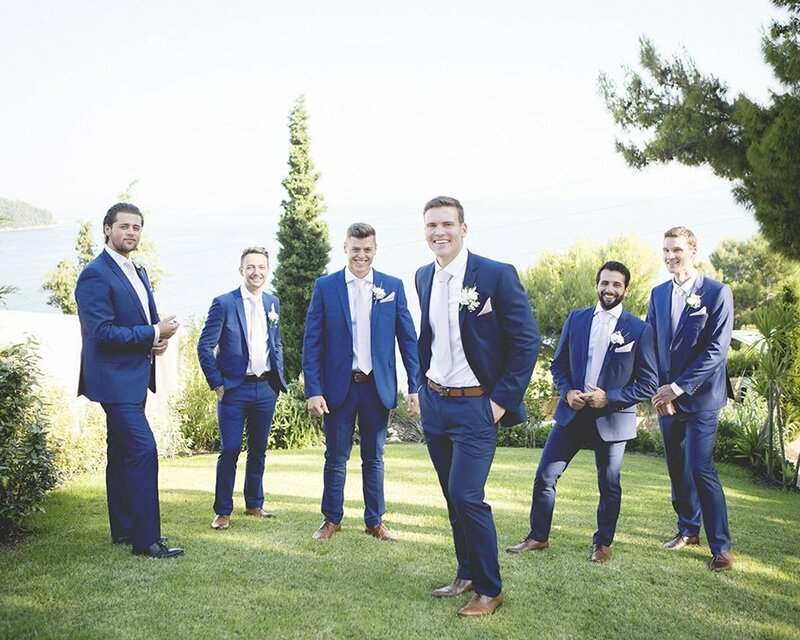 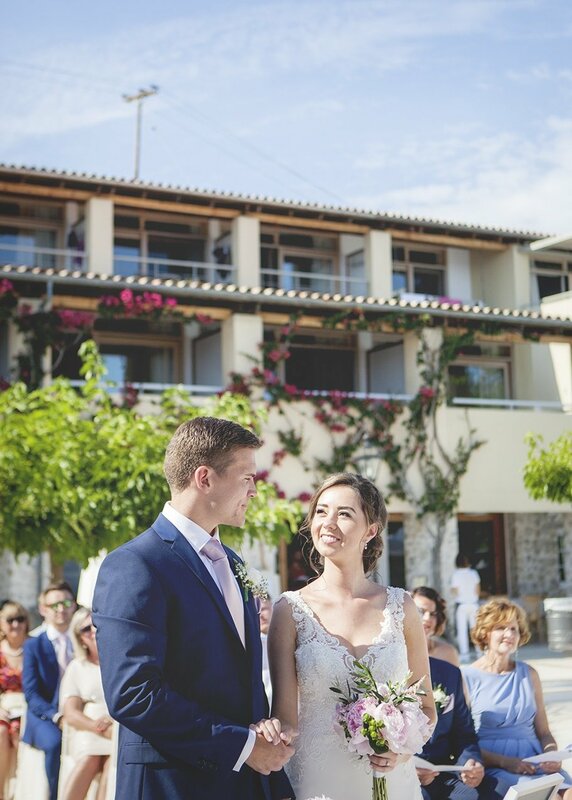 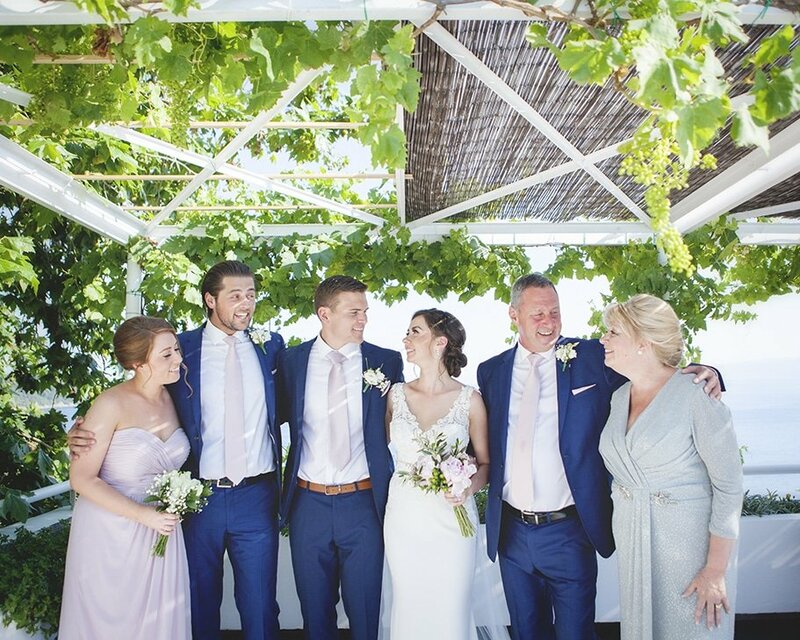 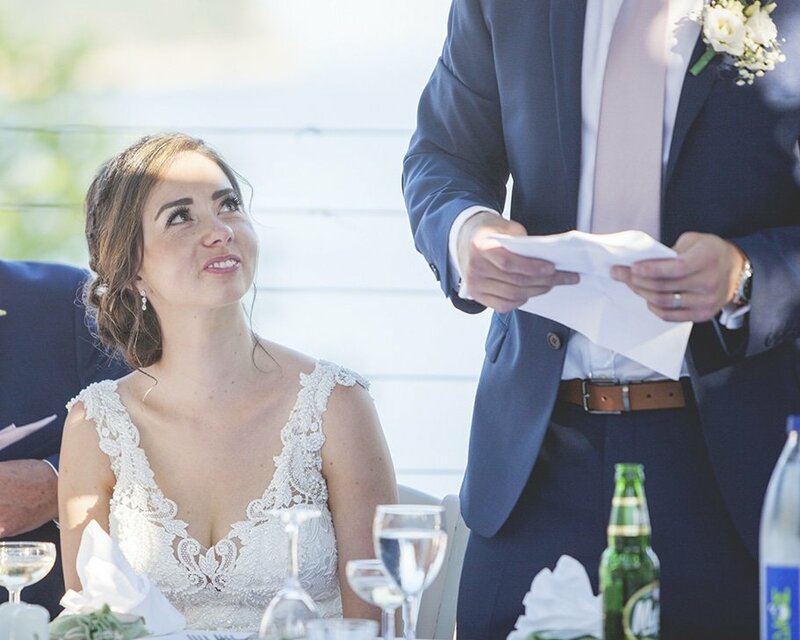 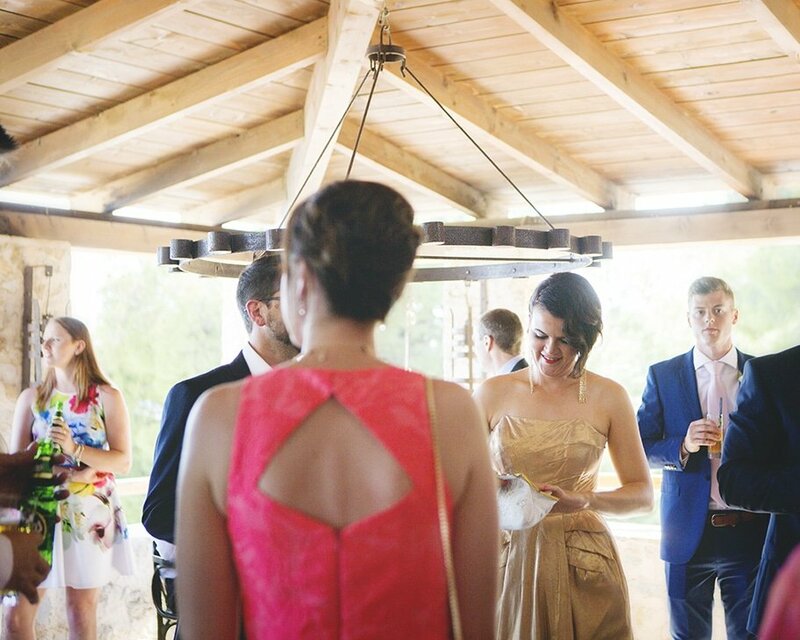 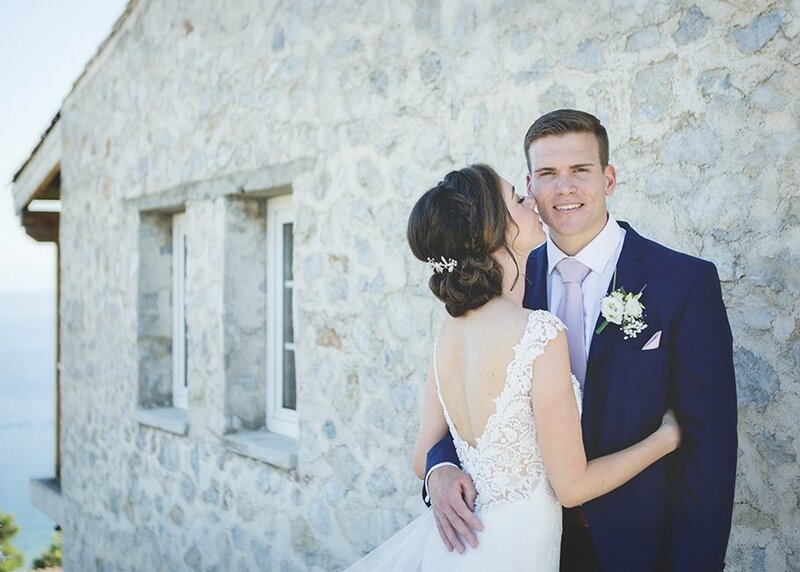 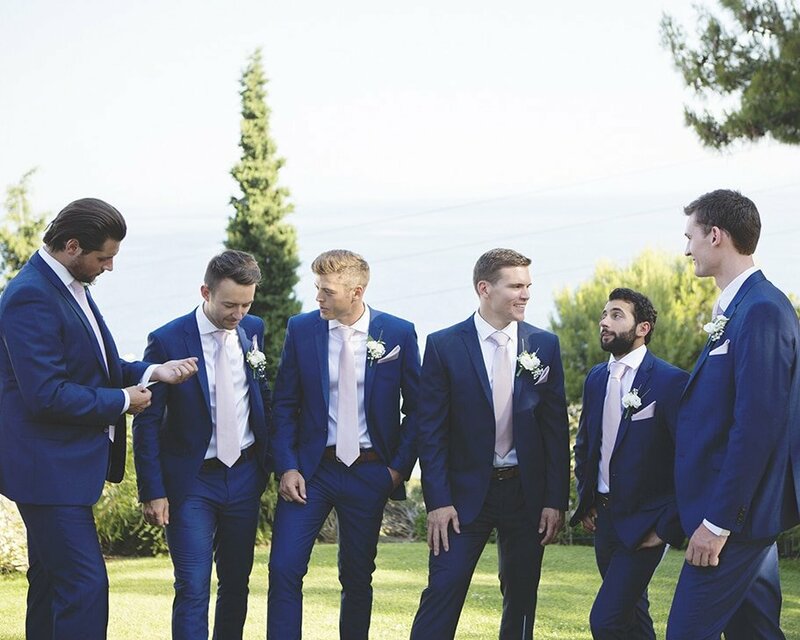 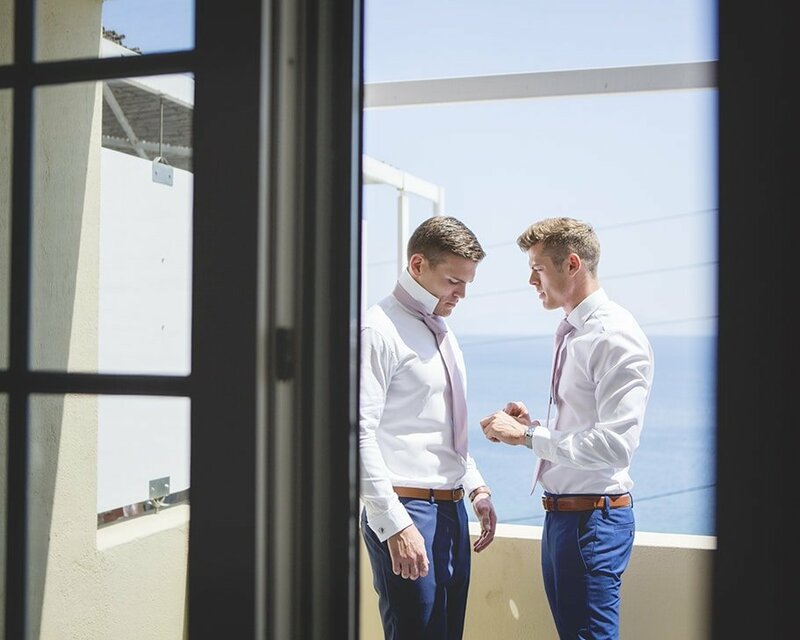 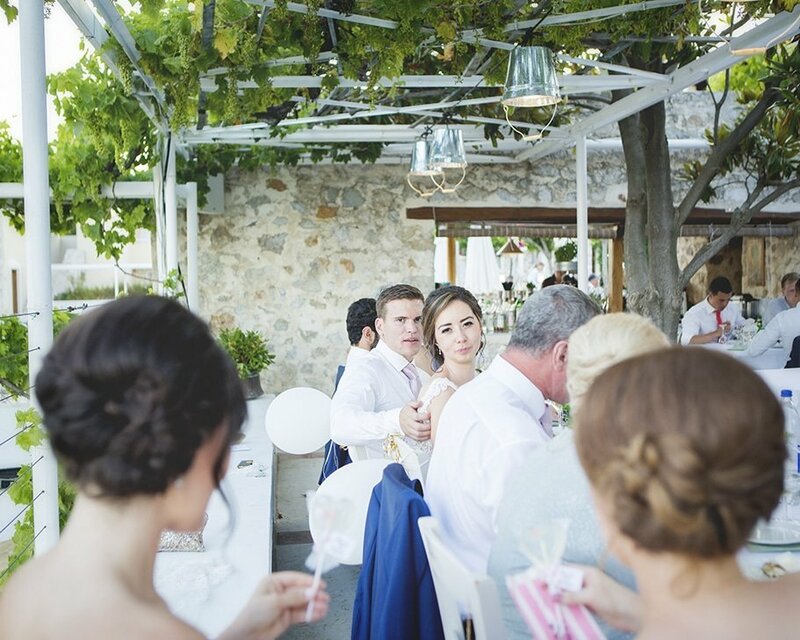 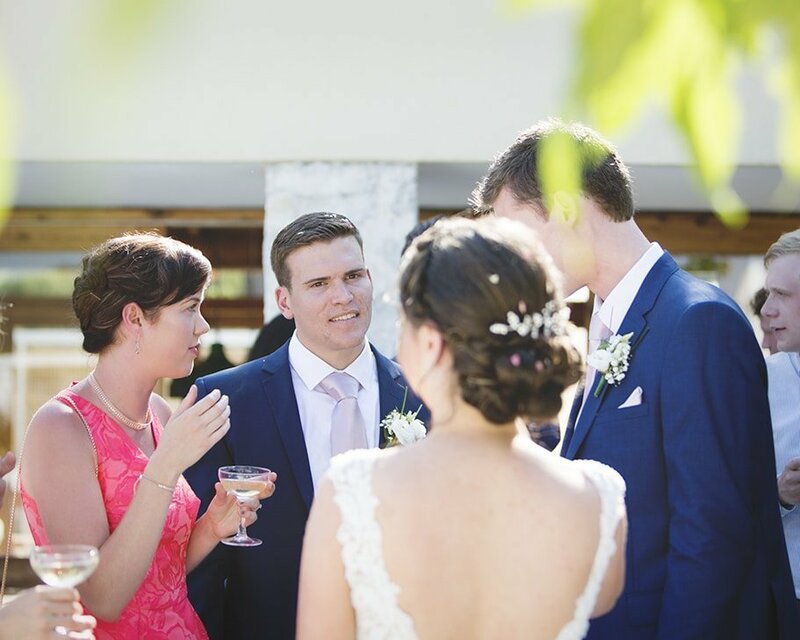 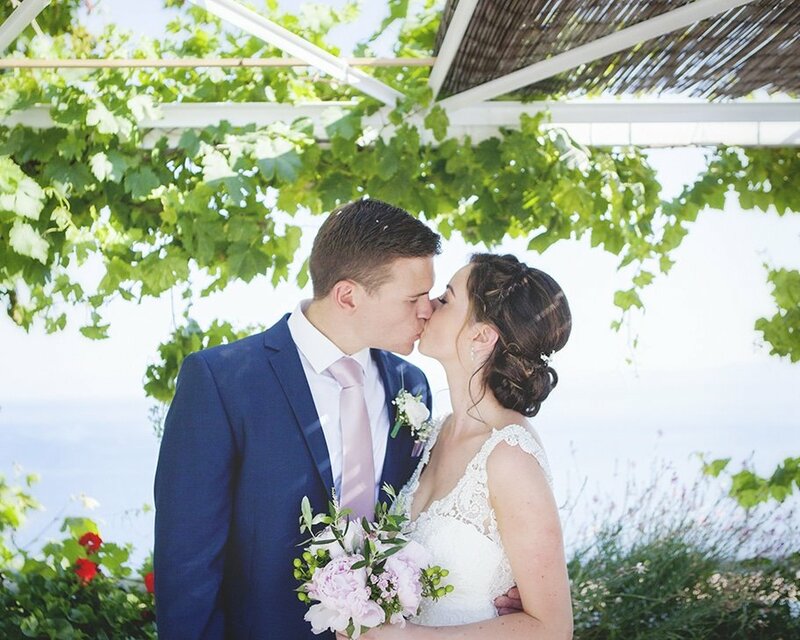 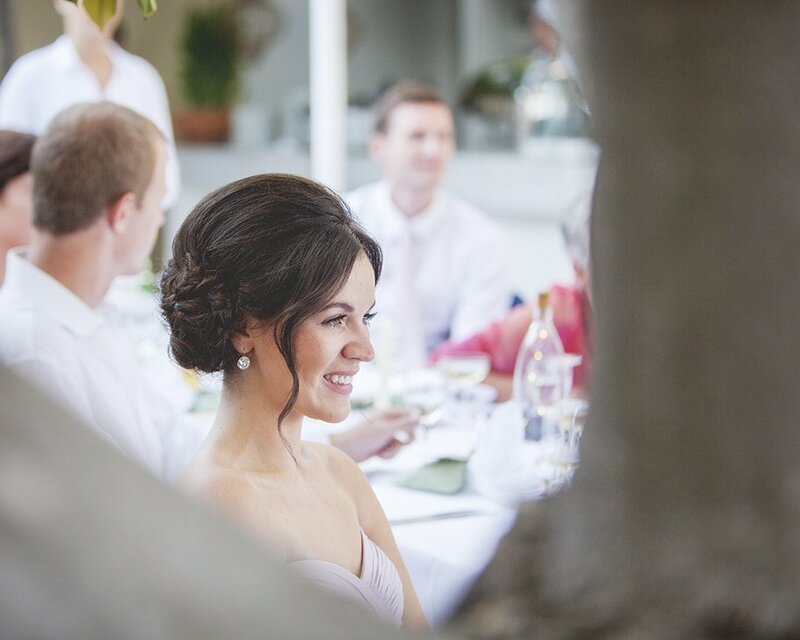 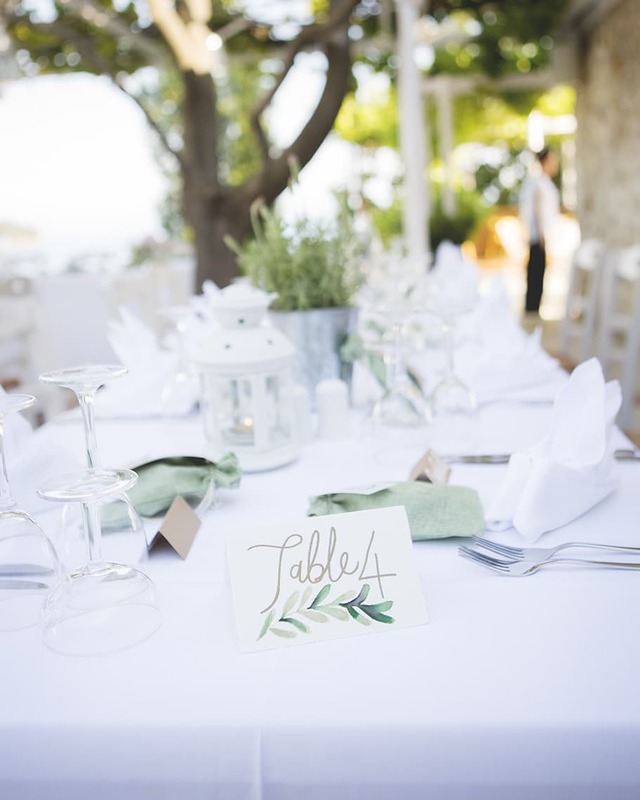 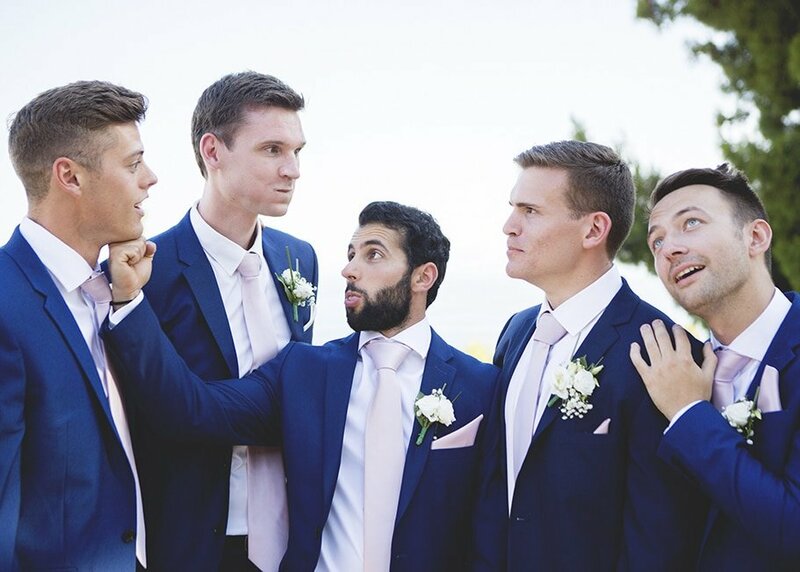 The wedding took place at The Atrium Hotel which had some of the best views over the coastline and a wonderful private area covered in grapevines for the wedding party to relax and enjoy their fresh greek banquet. 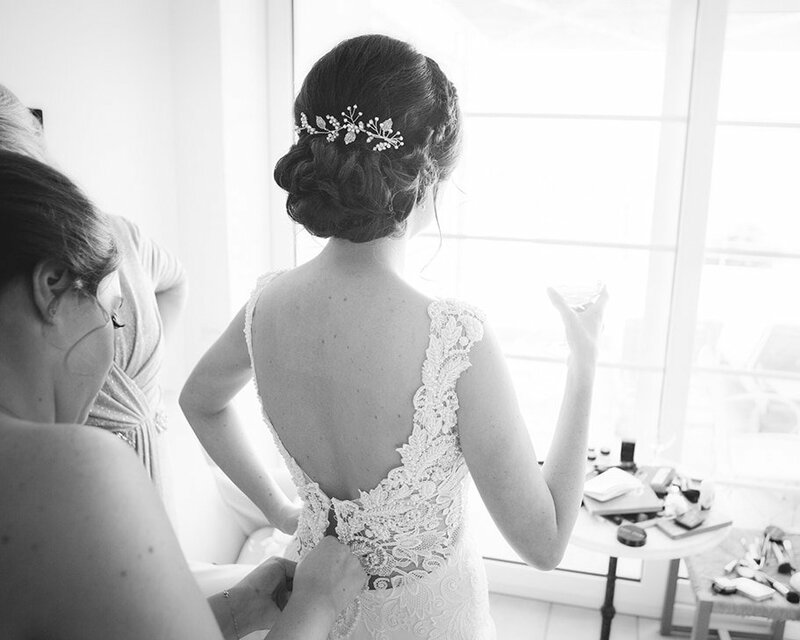 In almost every spot in the hotel there was the most beautiful backdrop, a photographers dream and so exciting to work with. 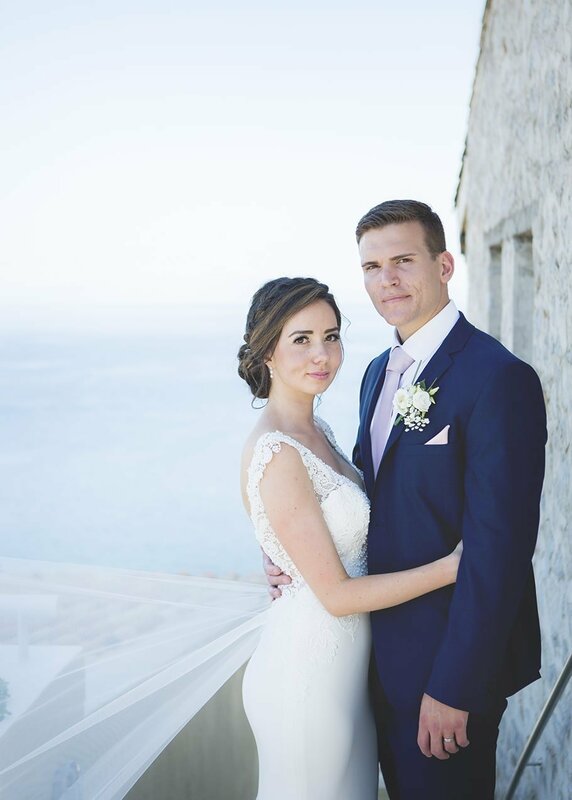 I first met Lucie & Simon for their engagement session which was bought for them as a gift, we spoke about their beautiful destination wedding during the shoot and all the plans they had in place so far. 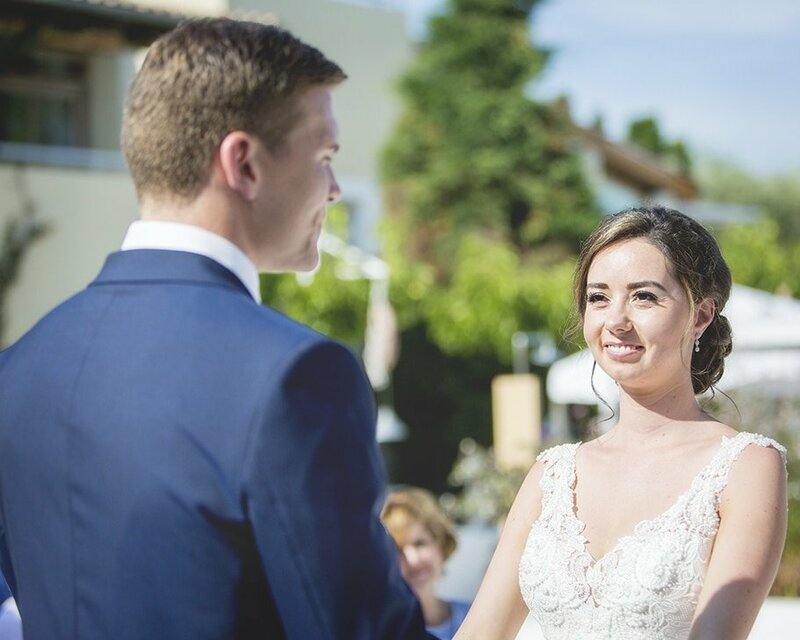 I was so happy to hear from them shortly after asking for details on my wedding photography packages and few months later their wedding was confirmed in my diary and I started planning straight away. 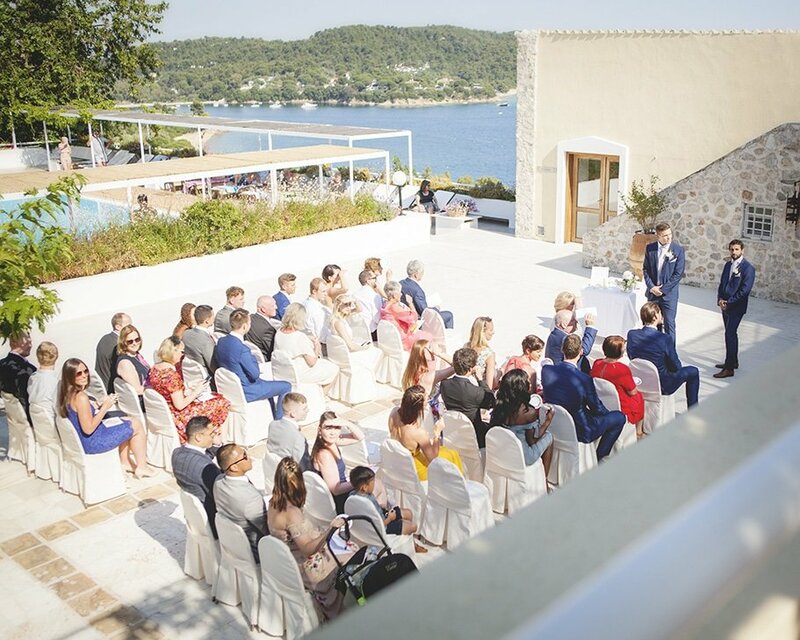 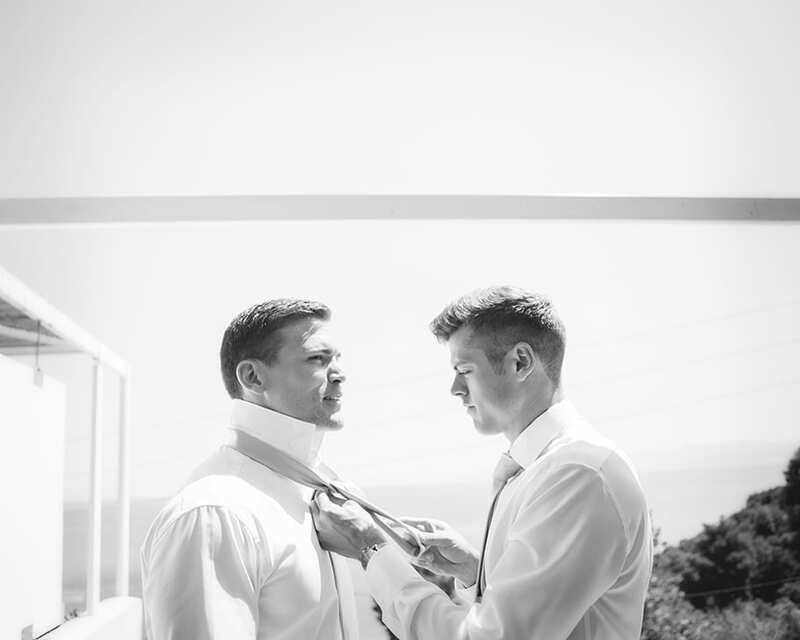 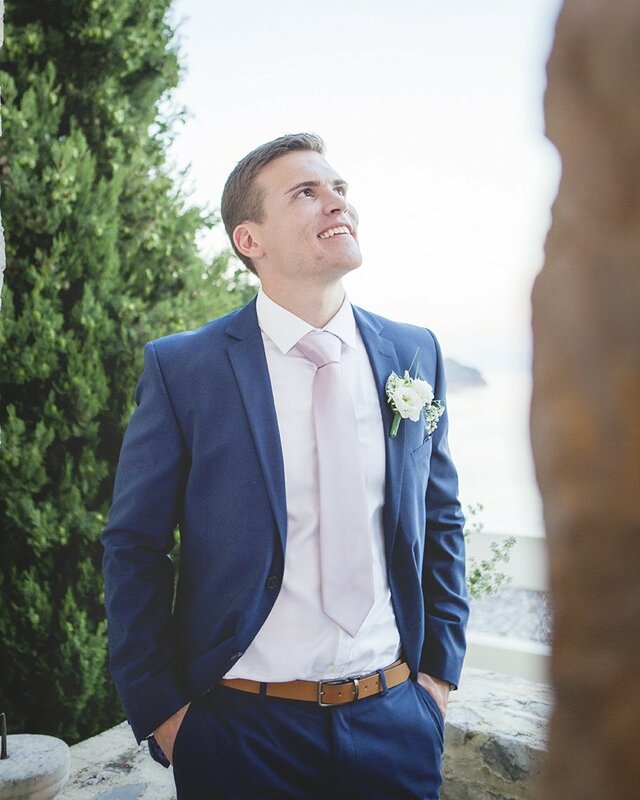 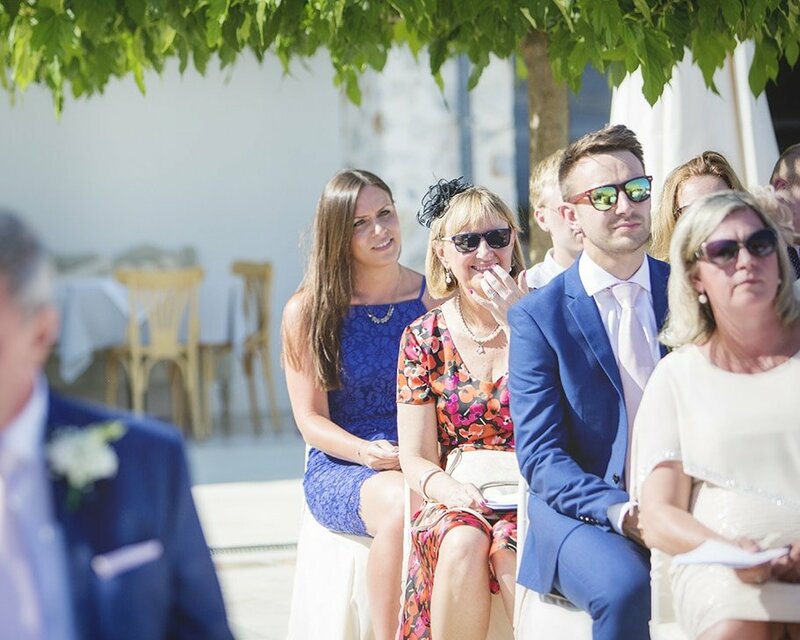 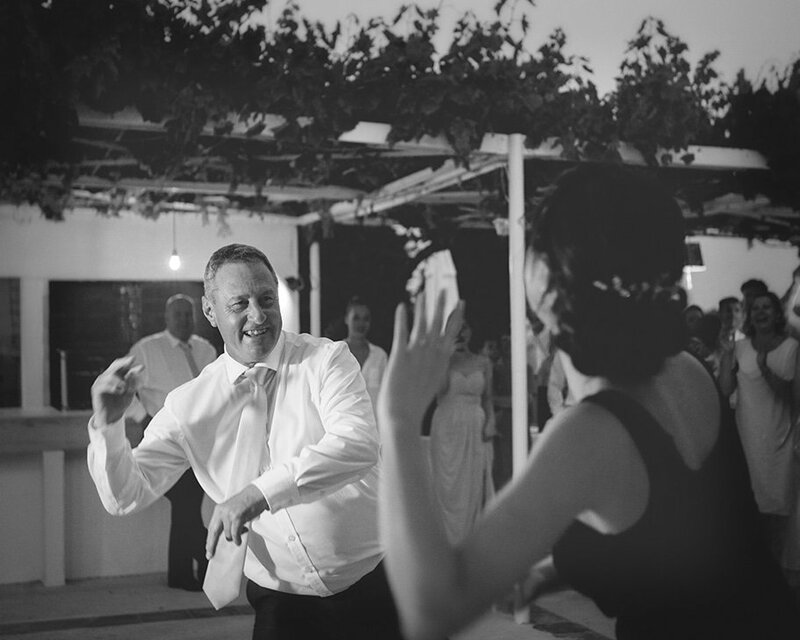 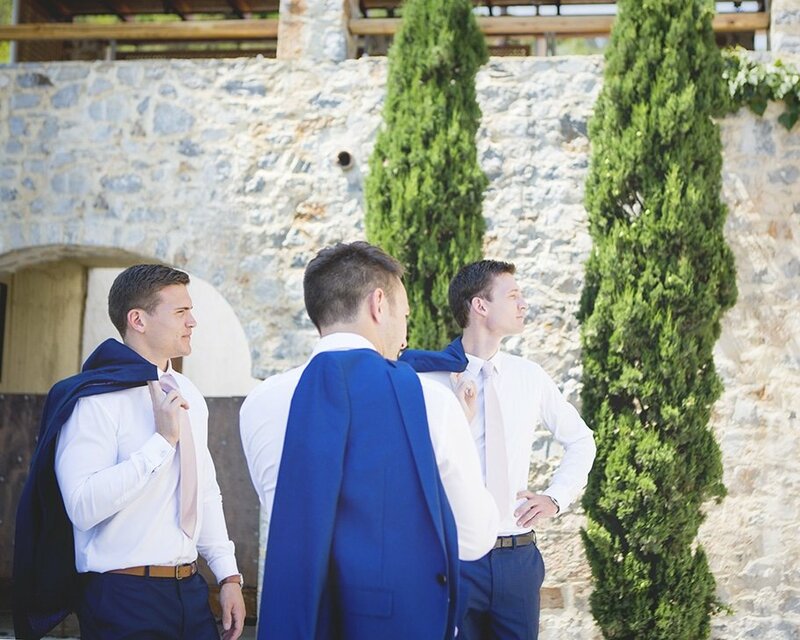 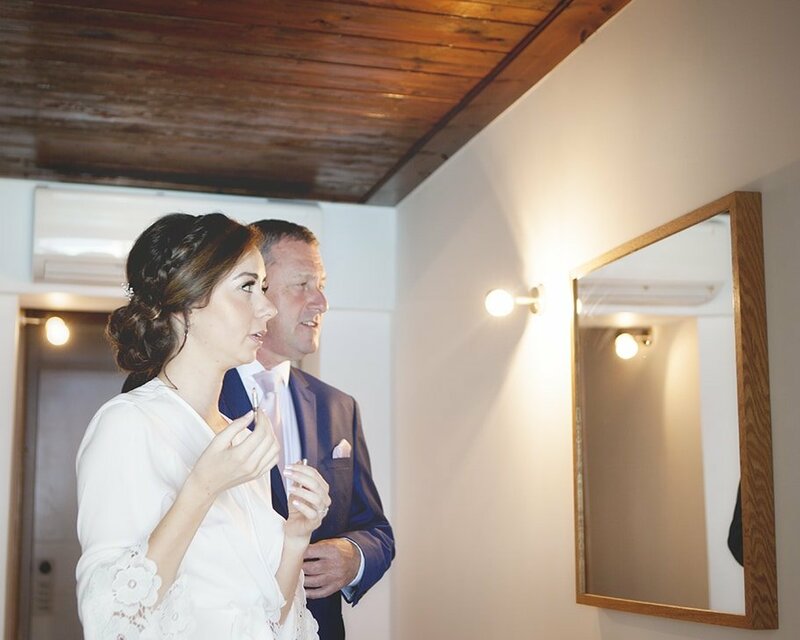 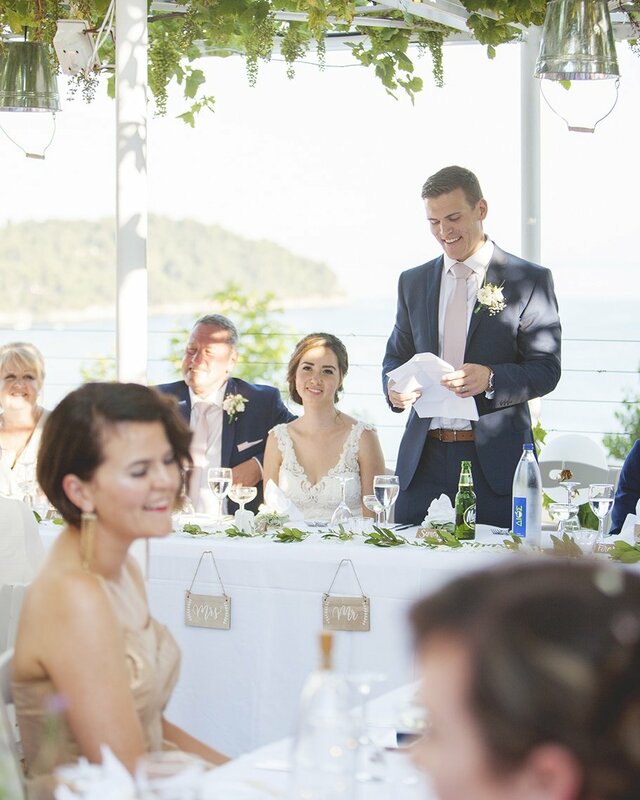 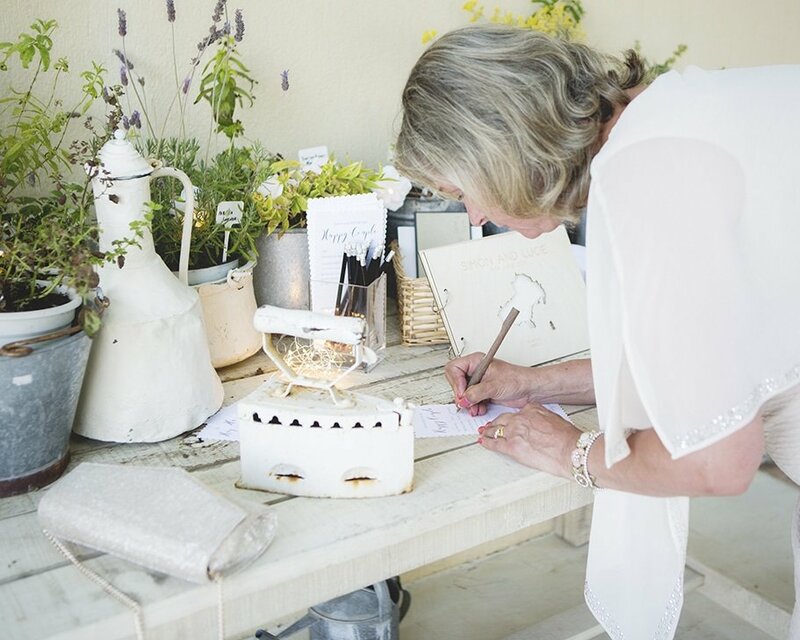 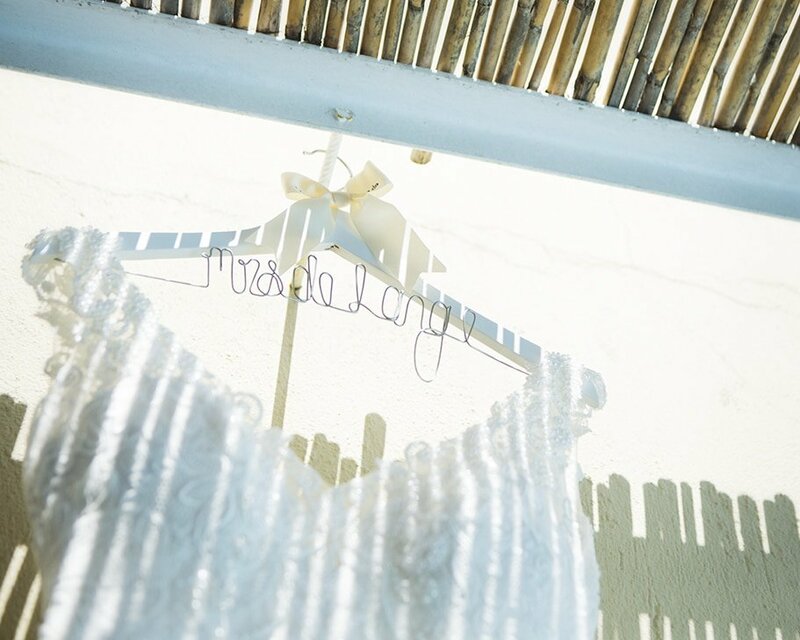 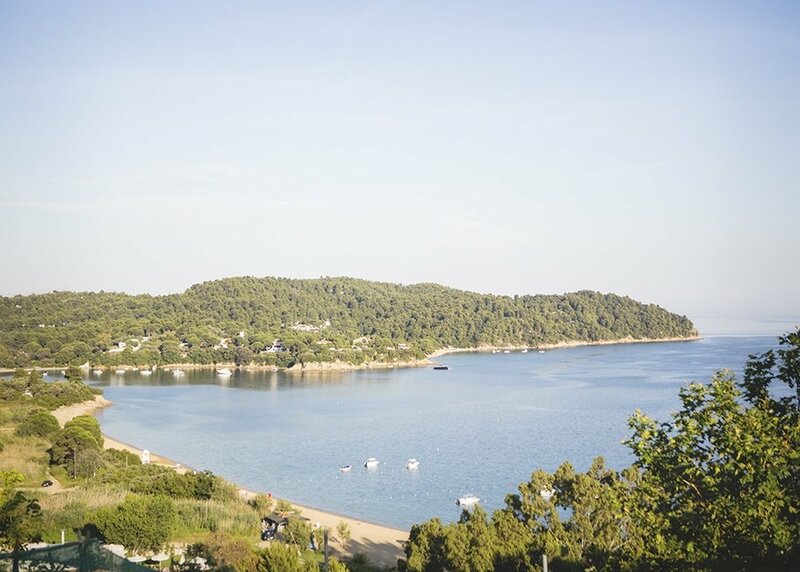 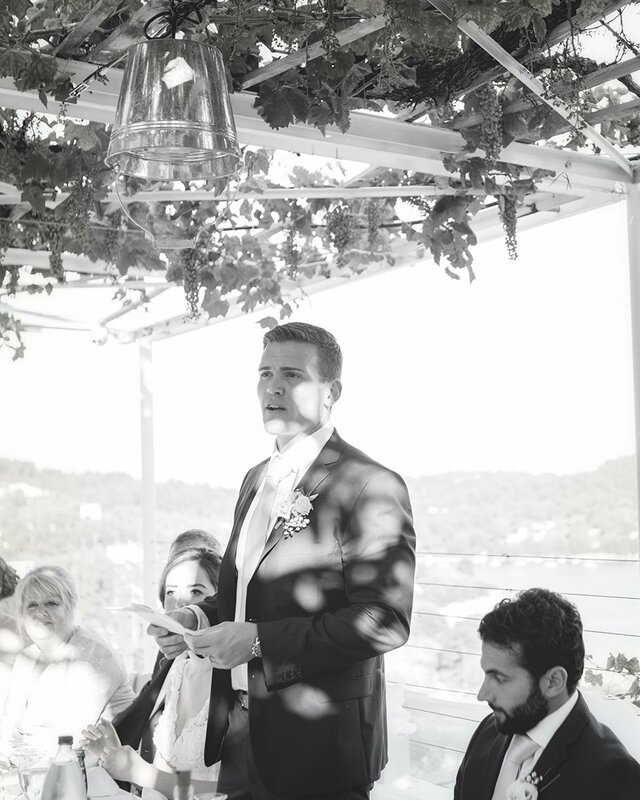 I arrived in Skiathos a few days before the wedding and only two days before the big day the Island was hit with huge thunder storms, thankfully the weather was perfect on the wedding day, turning out to be the hottest day of the trip. 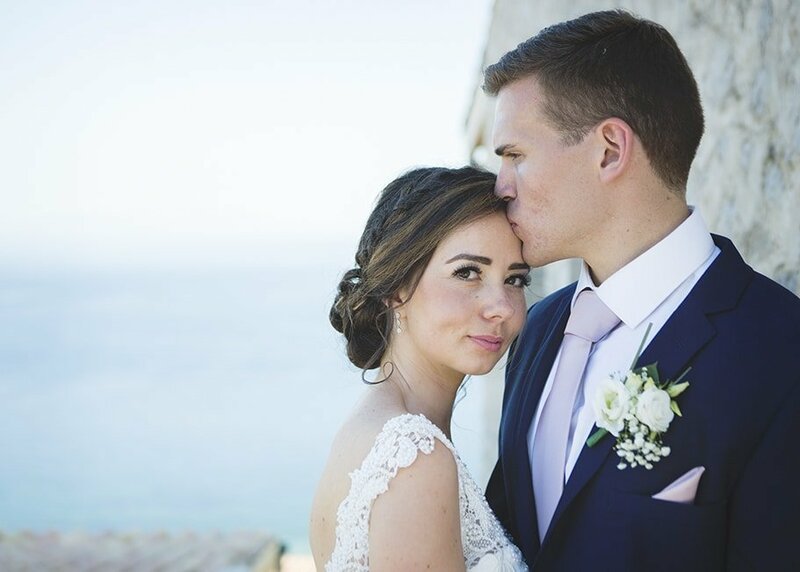 We had lovely calm weather the following evening for Lucie & Simon’s sea shoot, at sunset we headed down to the beach and spent an hour having fun in the shallow water for some truly stunning photo opportunities! 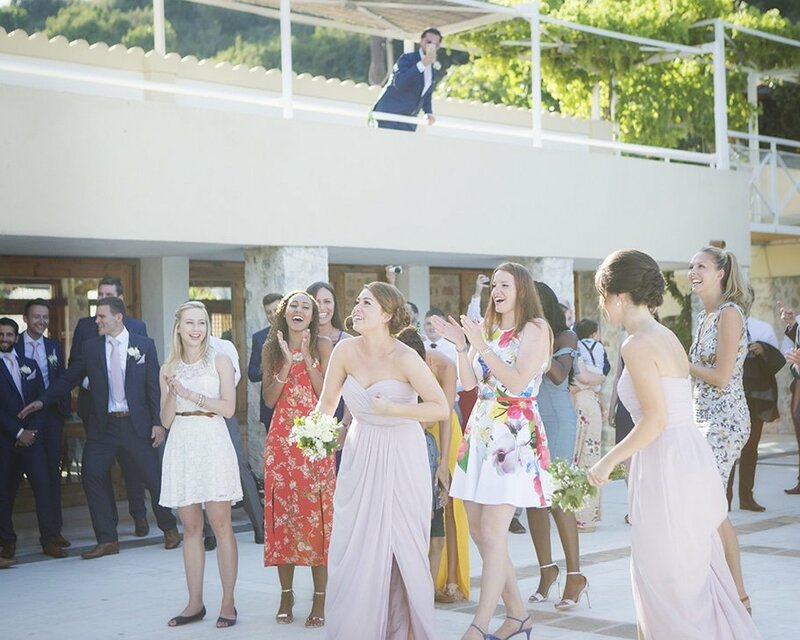 You will have to wait a little longer to see those shots though!! 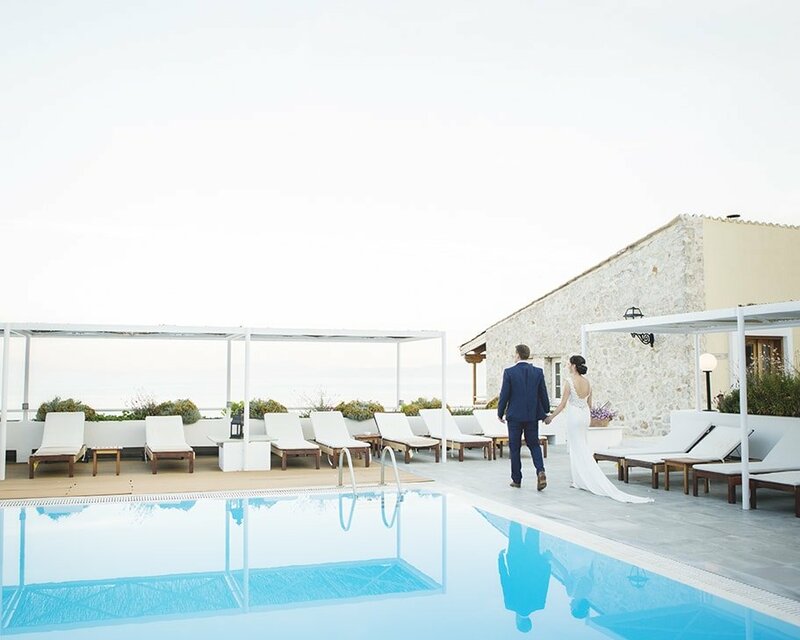 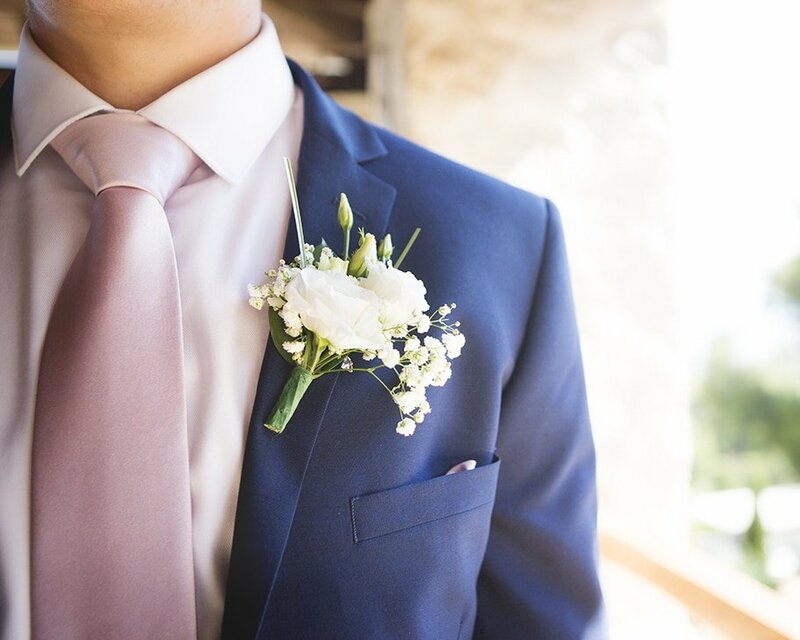 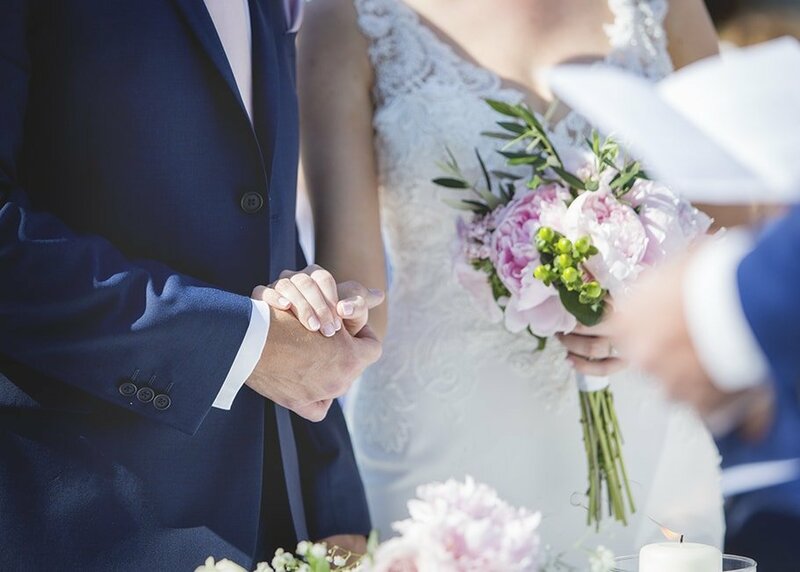 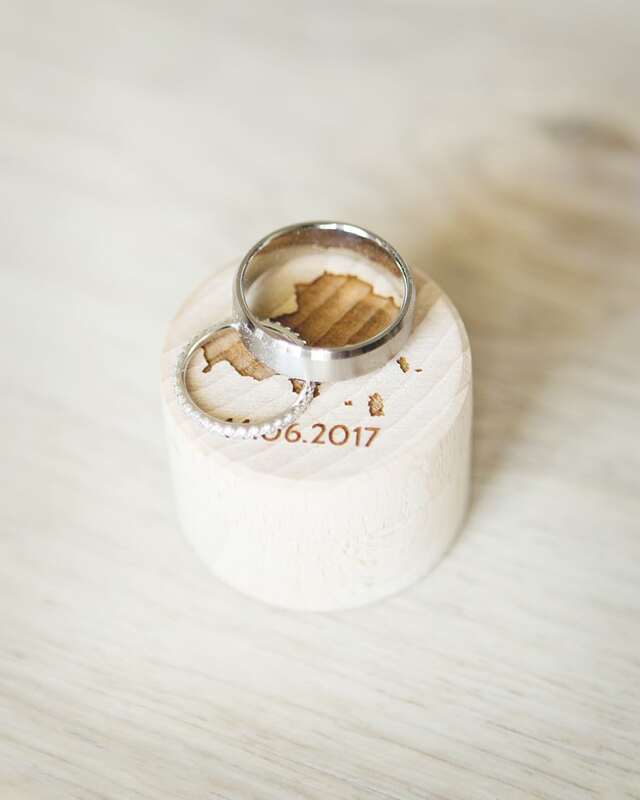 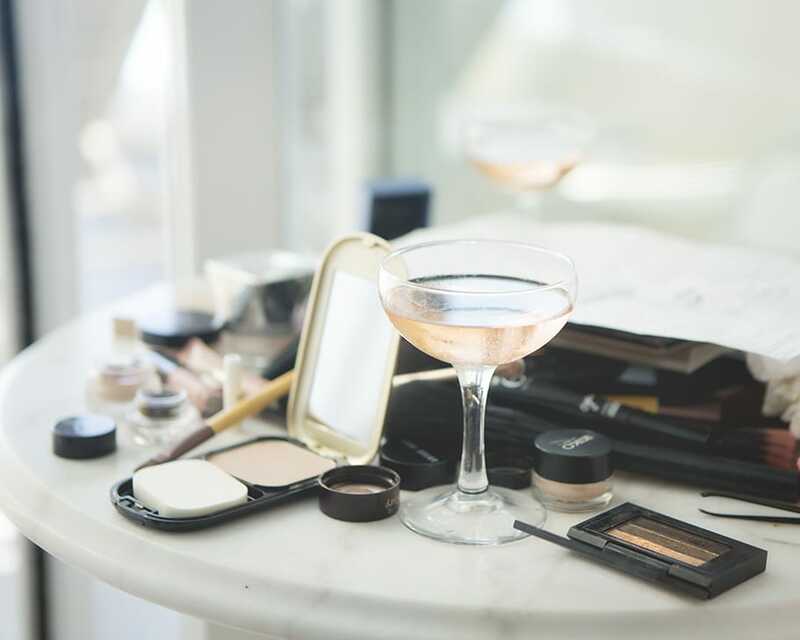 Most couples would assume that booking a UK photographer for their destination wedding would mean a much higher cost but in some cases it can work out to a similar price and even cheaper. 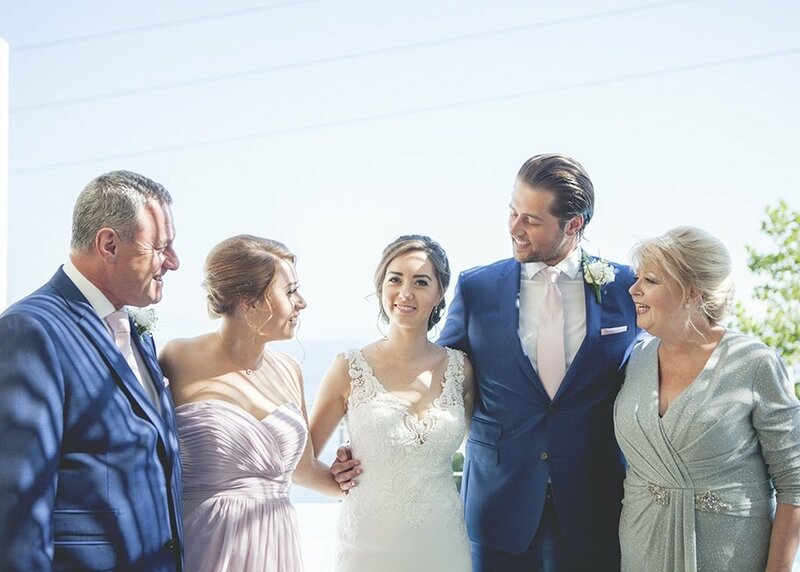 The biggest reason for this is down to venues abroad charging a extra fee onto their recommended photographers package prices. 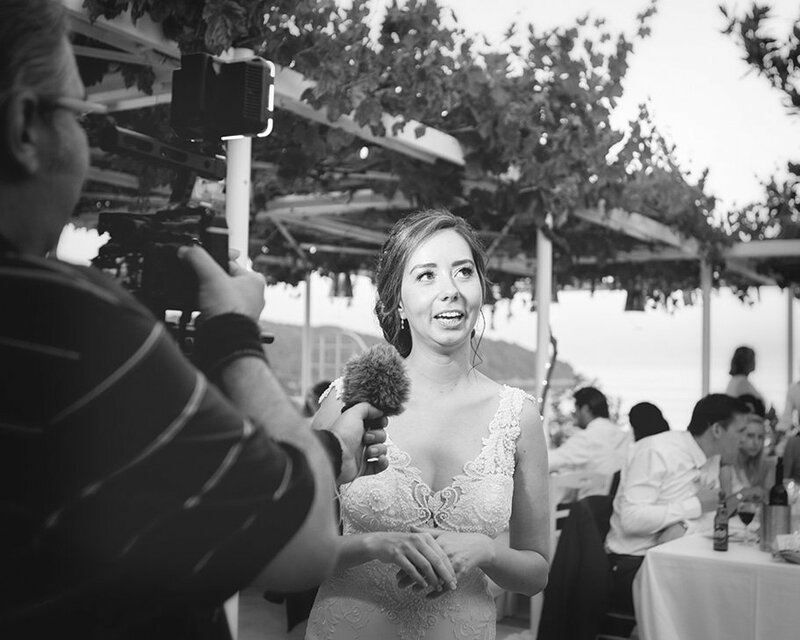 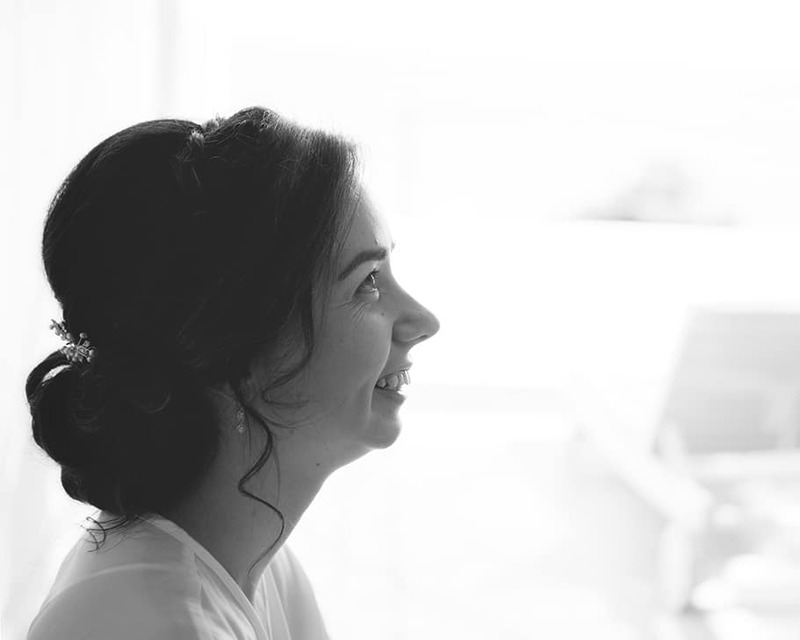 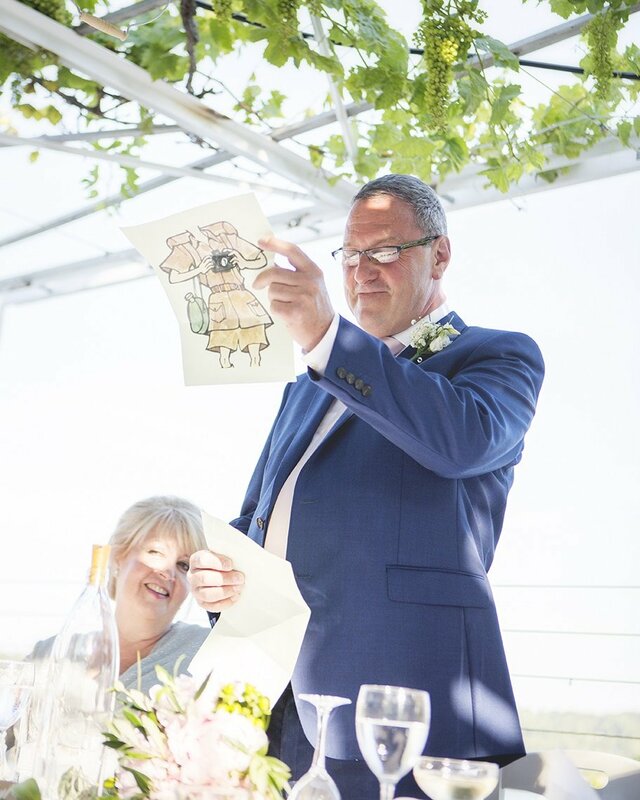 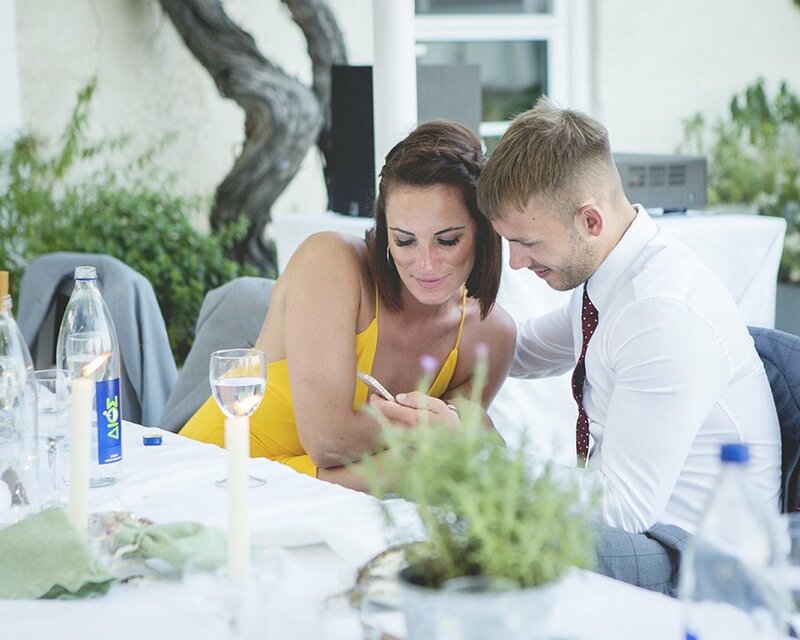 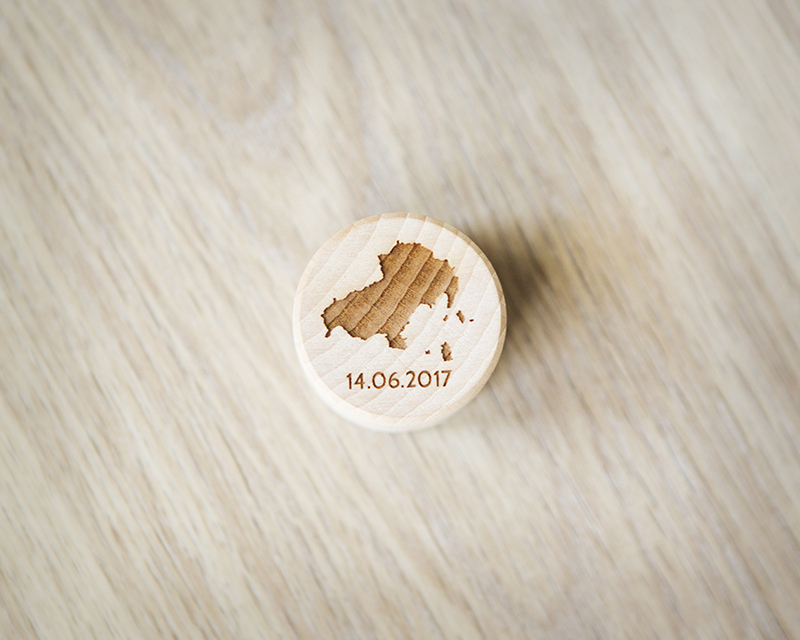 There are other great benefits to booking a UK photographer for your destination wedding too – The biggest benefit is communication! 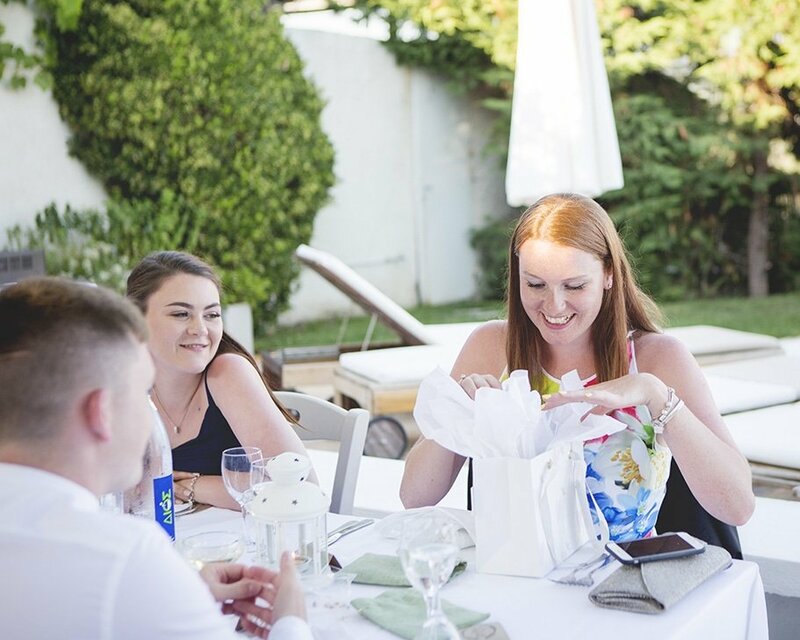 Being able to meet locally as often as you require can be a real help, it can also take a huge weight off of your mind beging able to talk directly any time without any concerns about there being a language barrier. 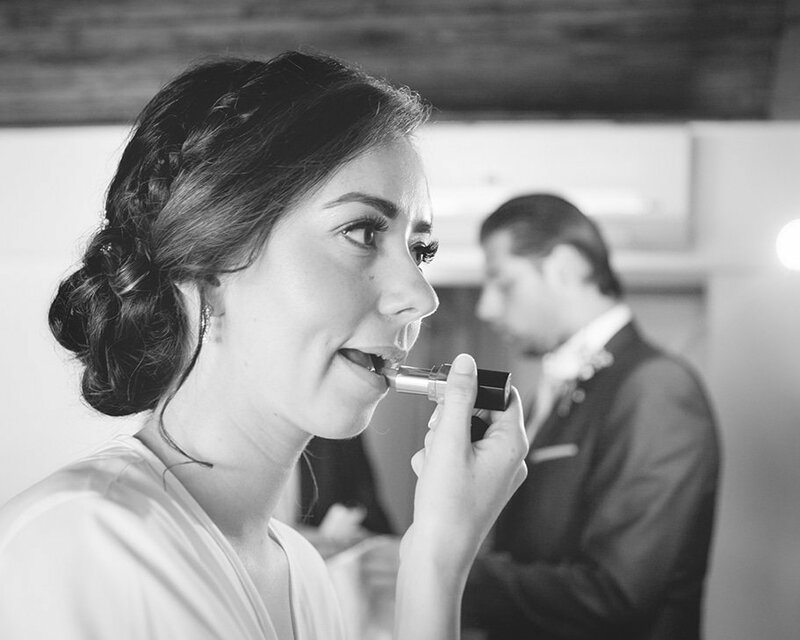 Having a UK wedding photographer also means you can have the added bonus of a pre wedding session in a personal location back here in the UK. 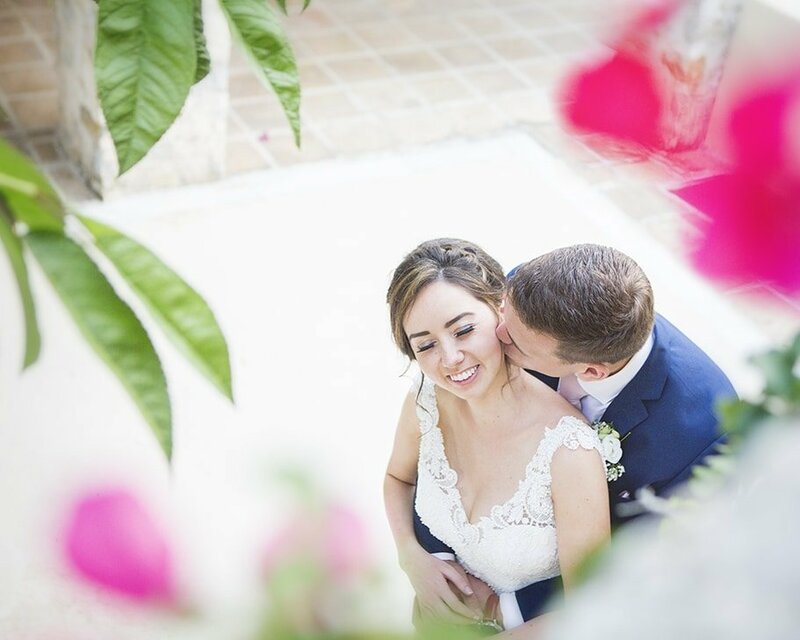 I love travel and exploring new places especially when I can get the camera involved and offer great deals for couples getting married in new and exciting locations. 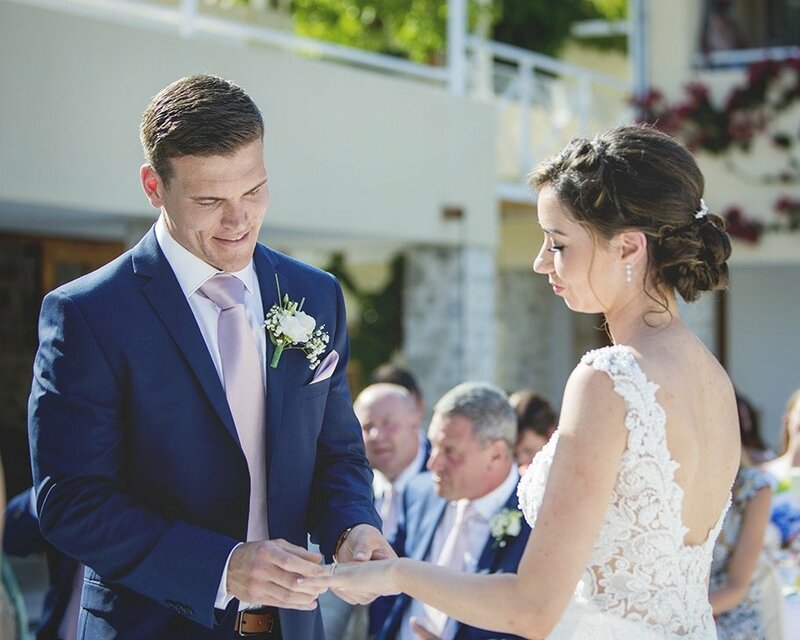 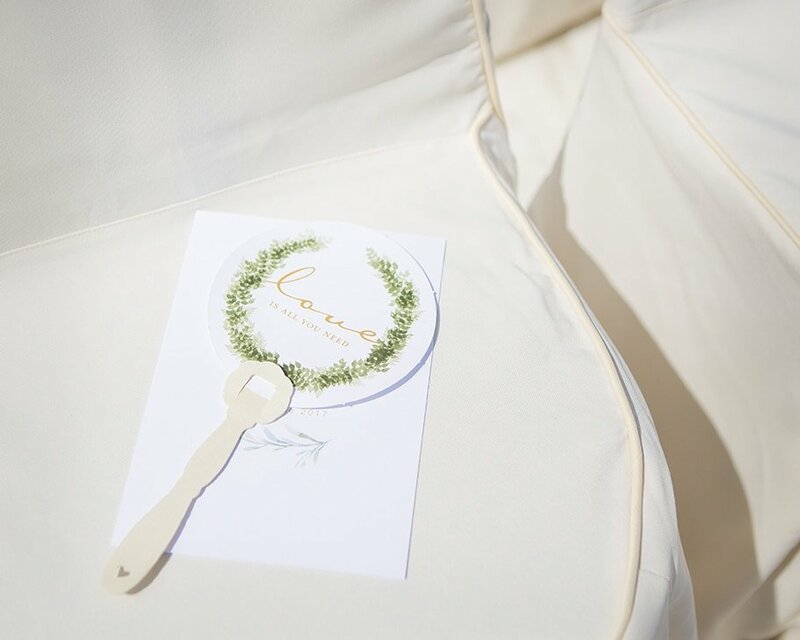 If you are getting married abroad please get in touch for more information on my destination wedding offers.